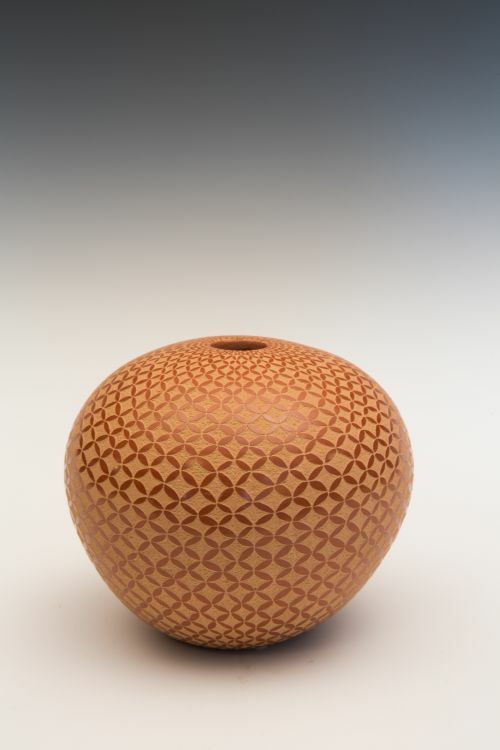 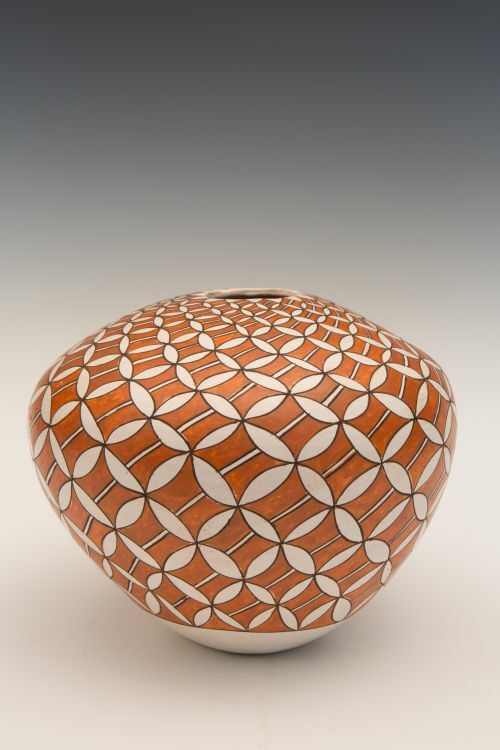 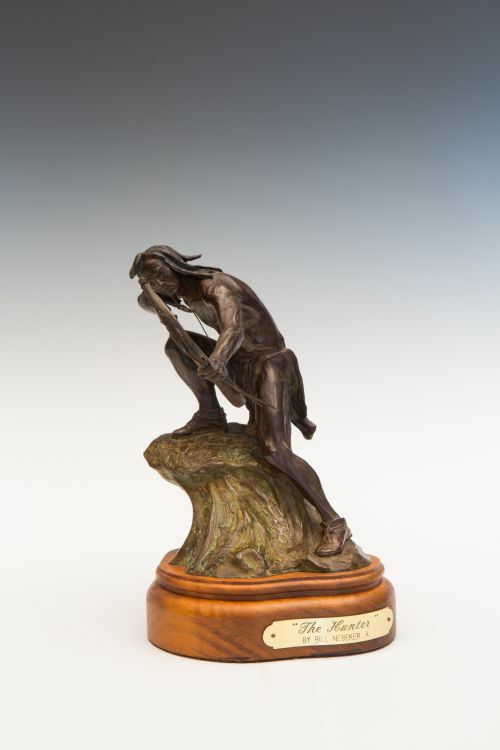 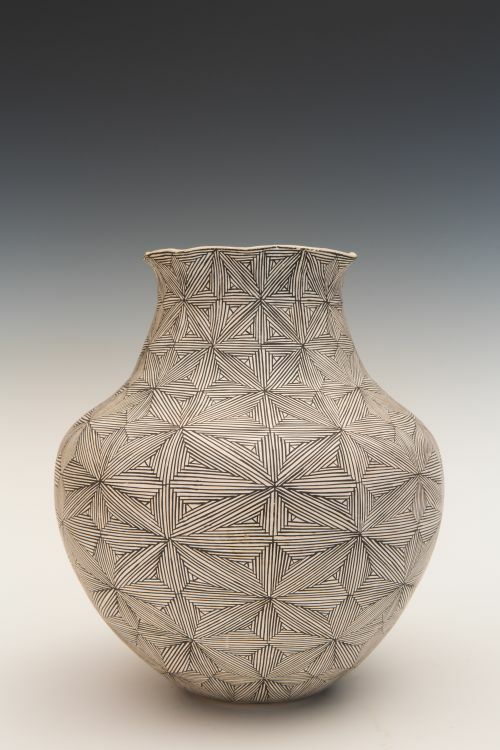 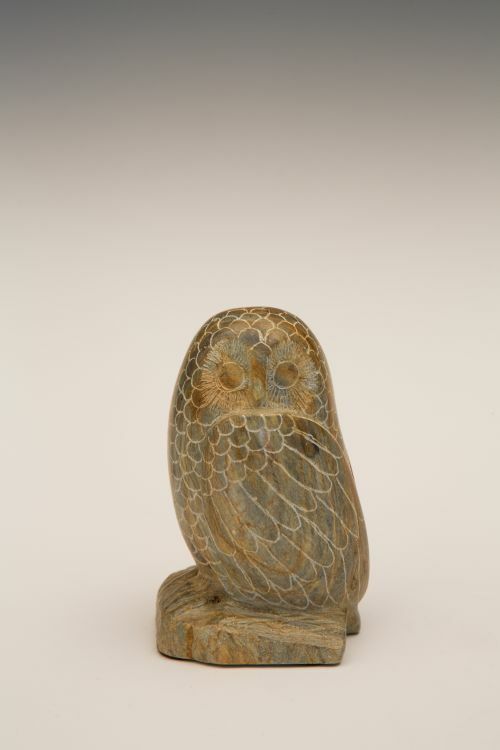 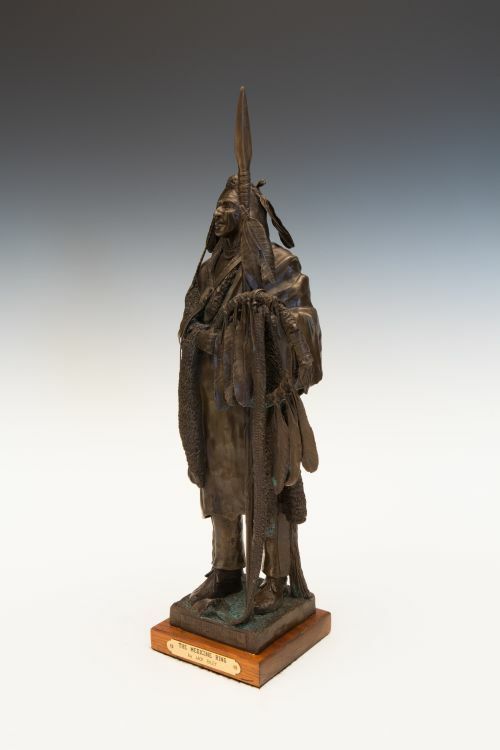 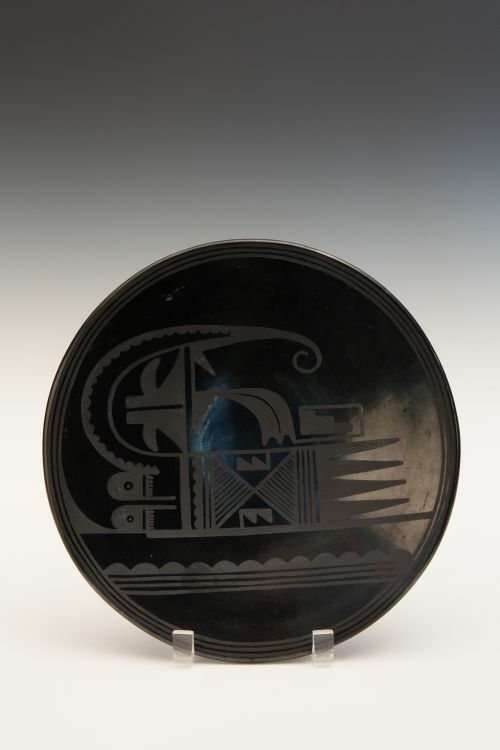 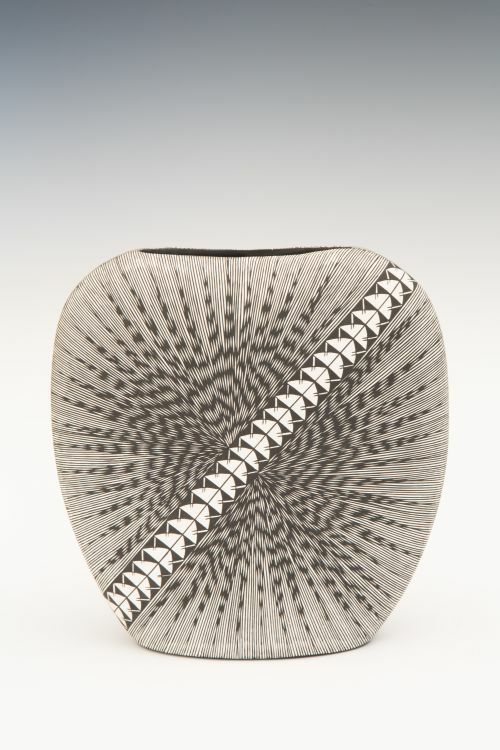 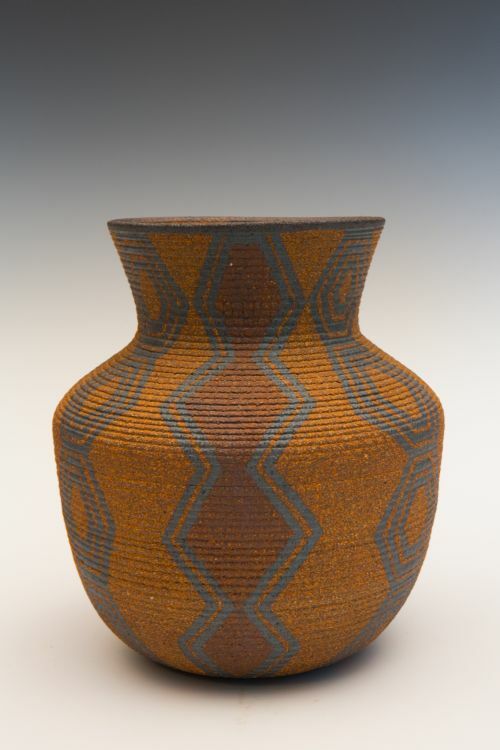 Goodman perfected this style of pottery –coils are used in the manufacture of all Southwest pottery, but they are usually smoothed. 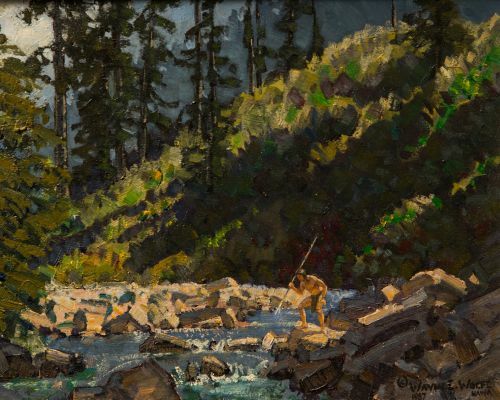 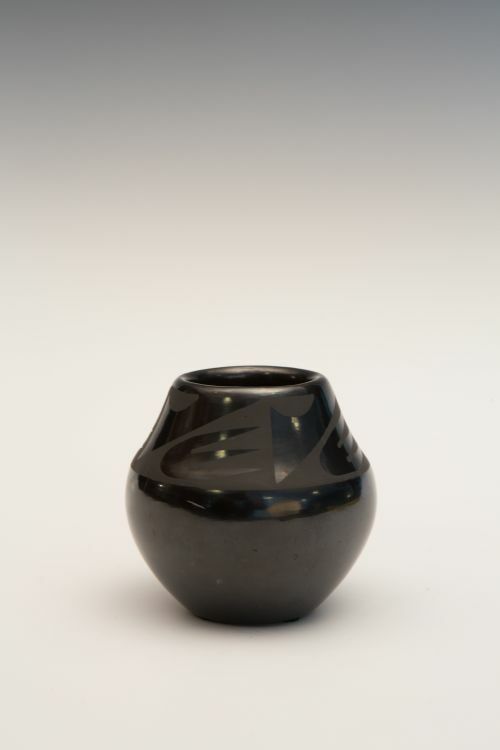 Goodman has scraped, or smoothed, the inside of the pot, leaving the coils visible on the outside surface, perhaps re-working the coils to make them more pronounced. 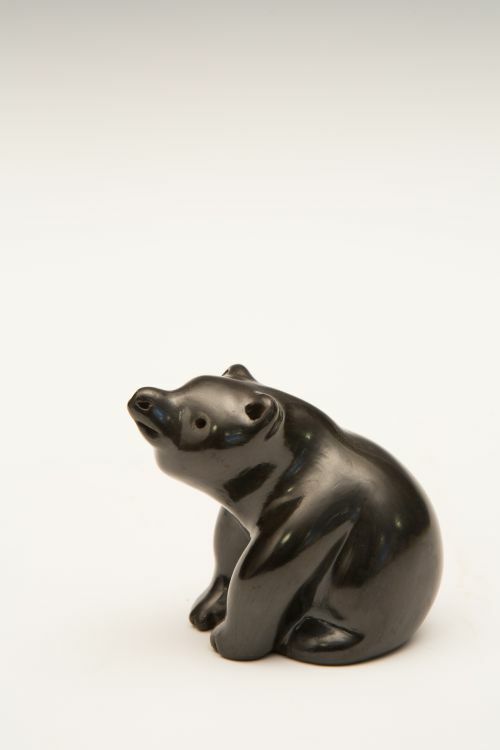 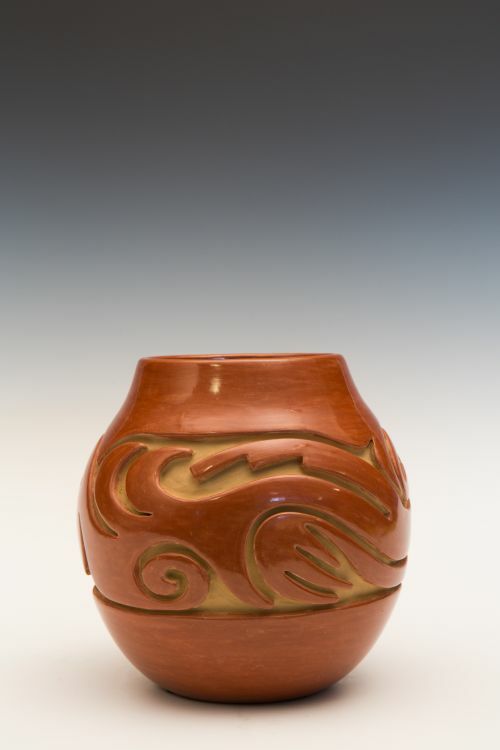 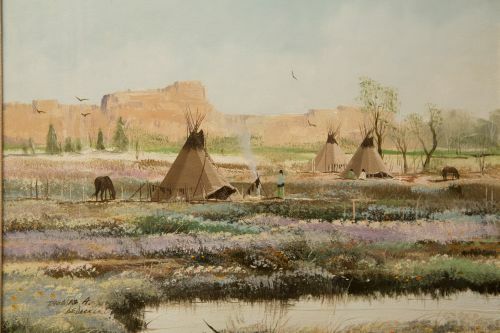 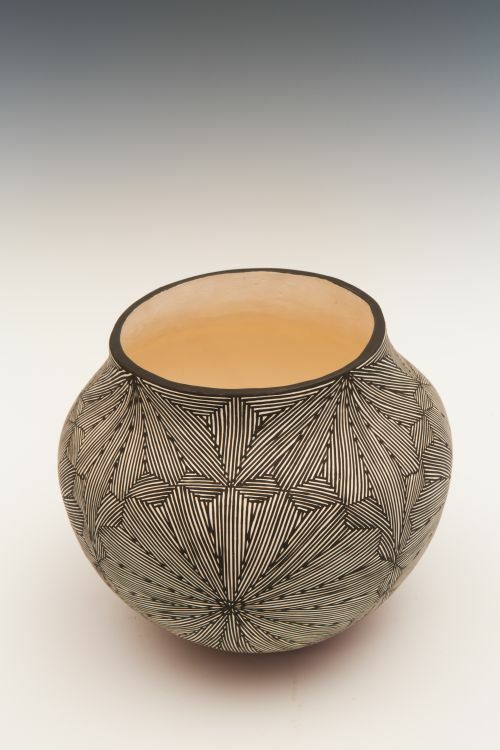 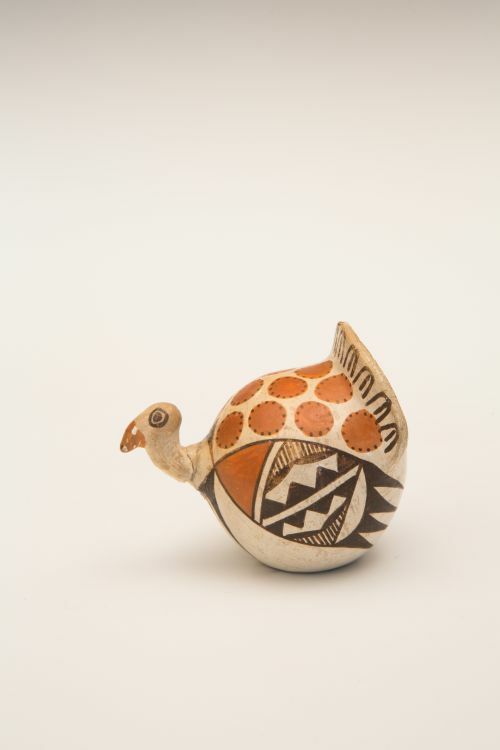 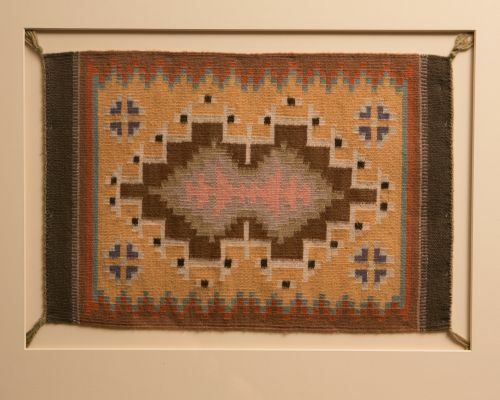 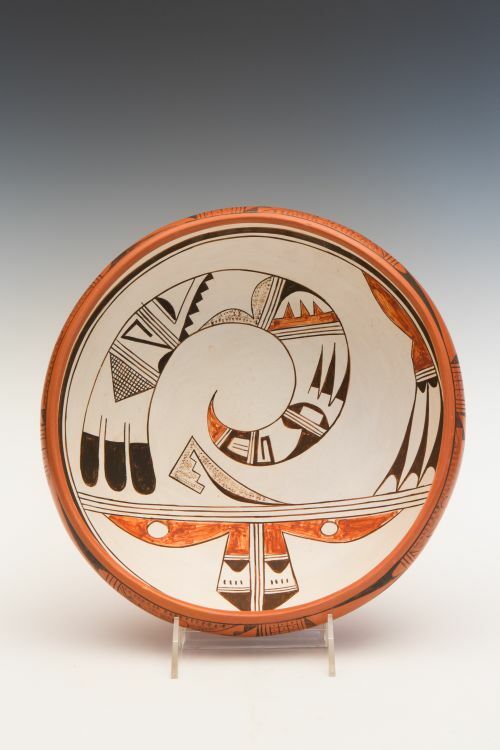 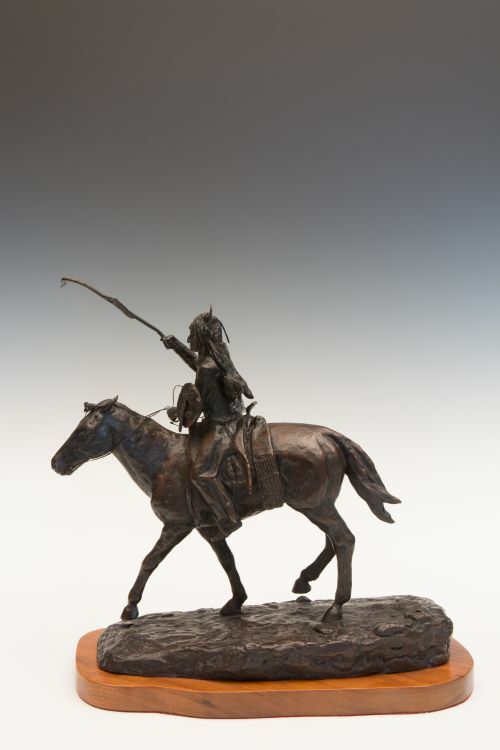 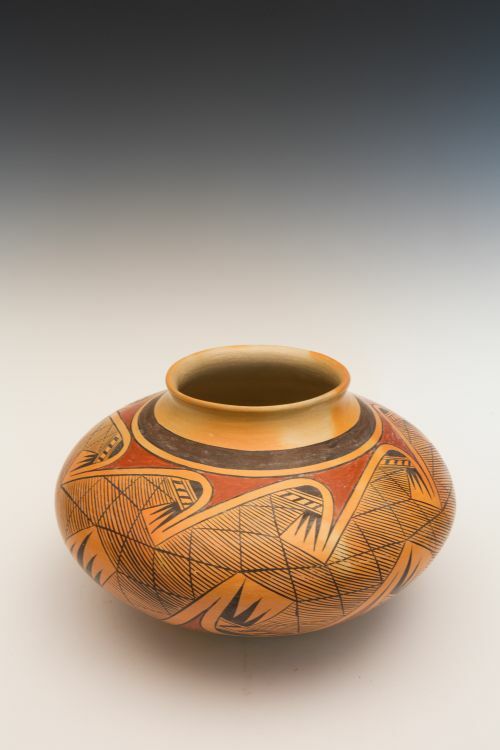 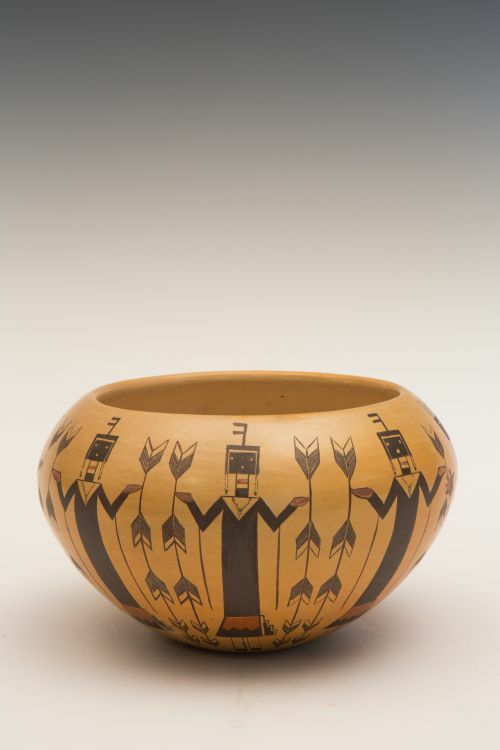 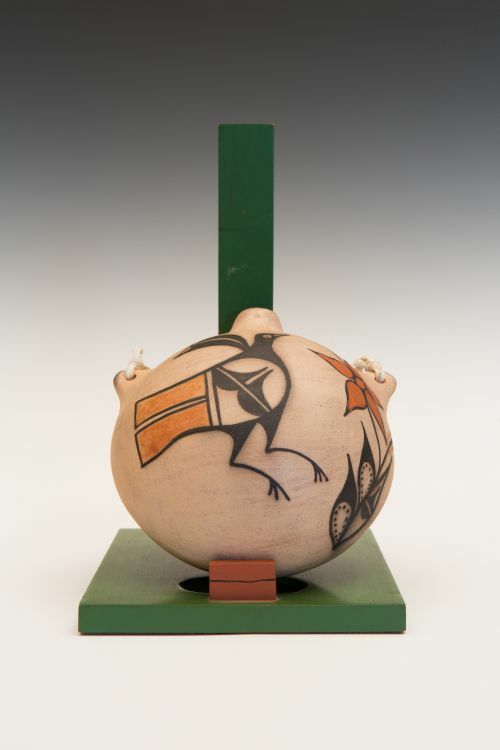 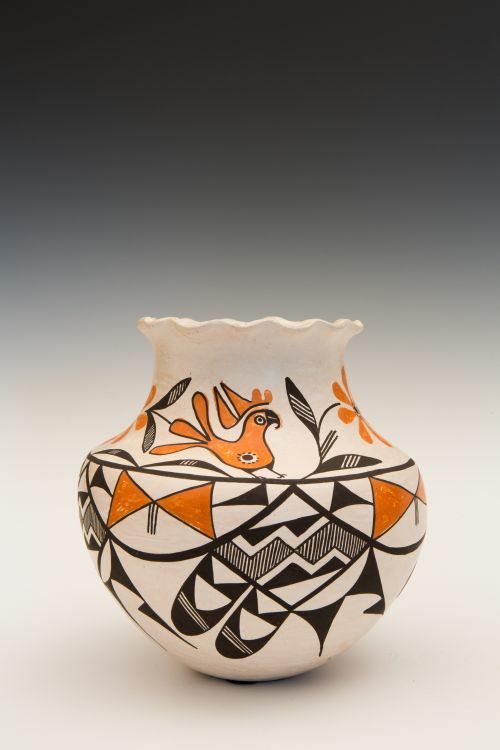 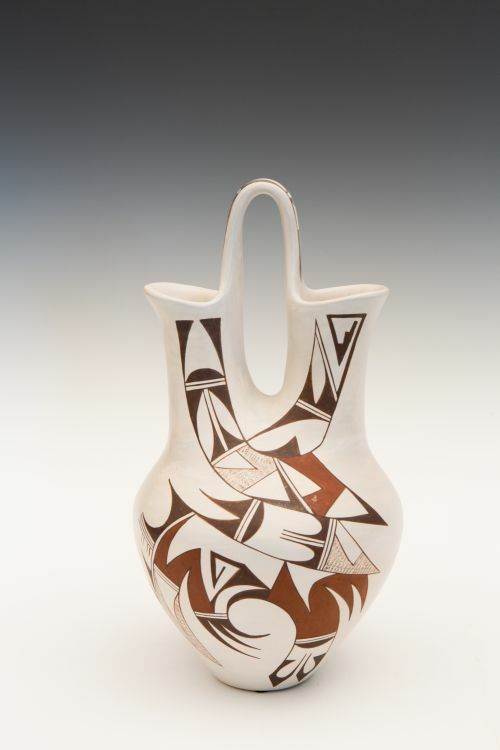 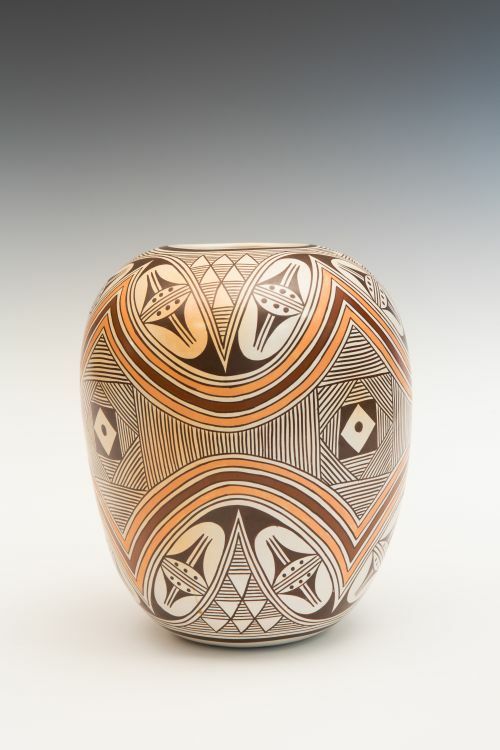 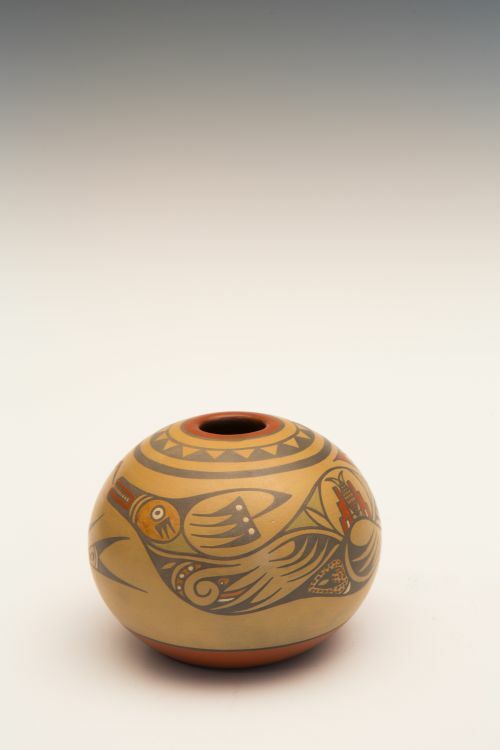 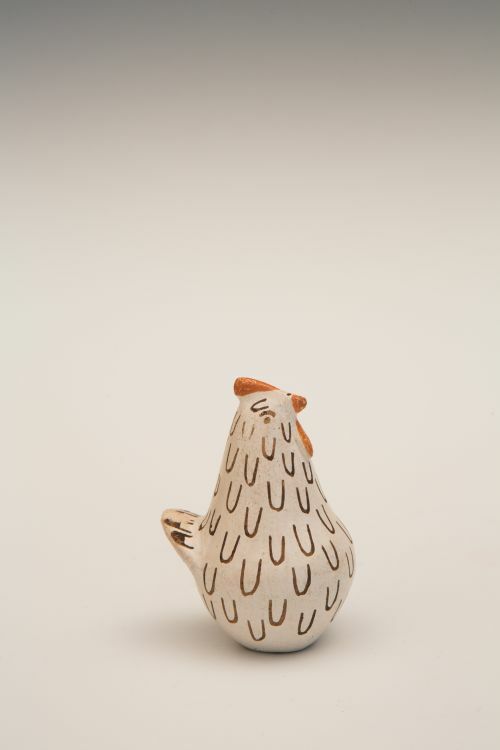 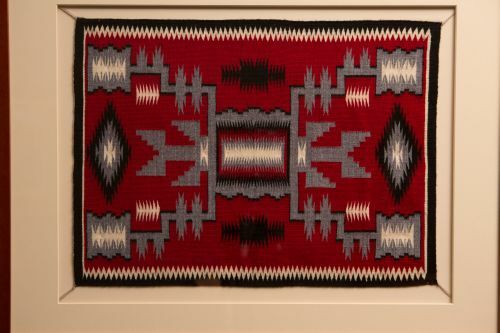 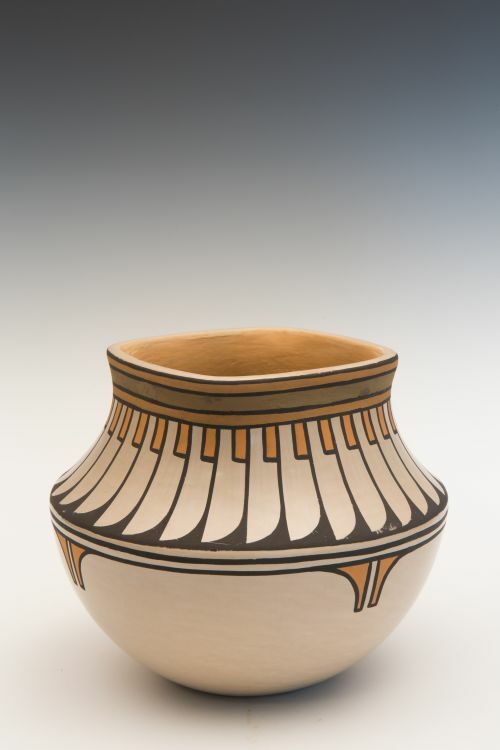 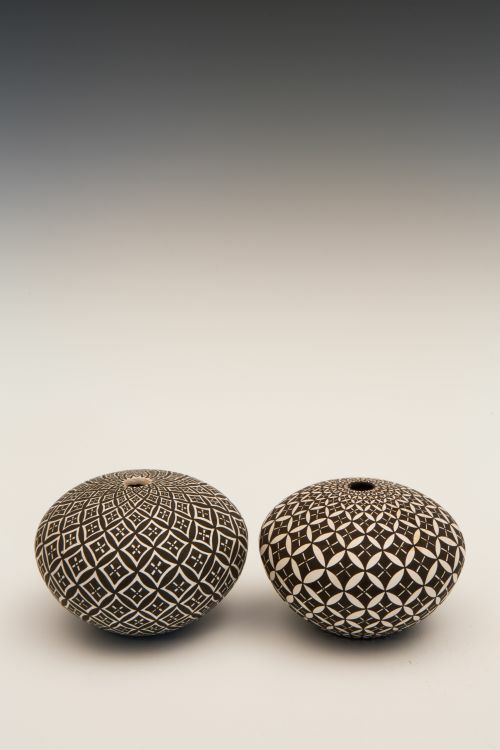 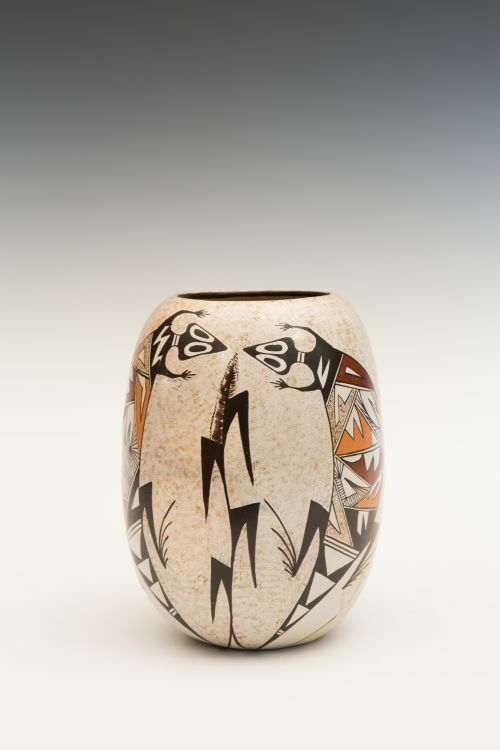 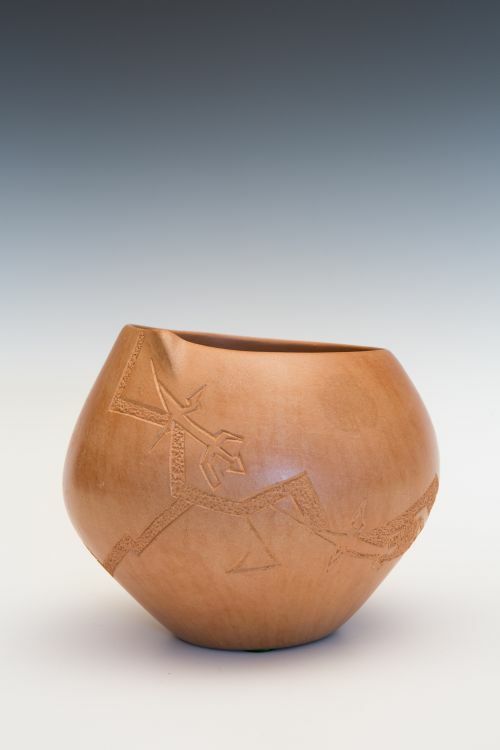 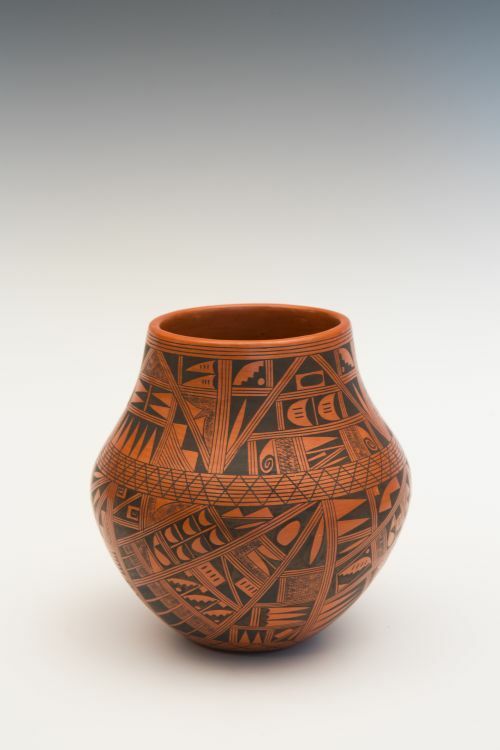 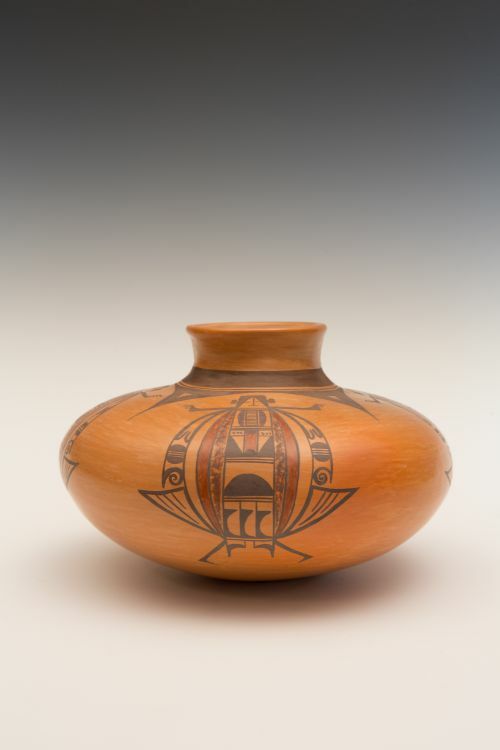 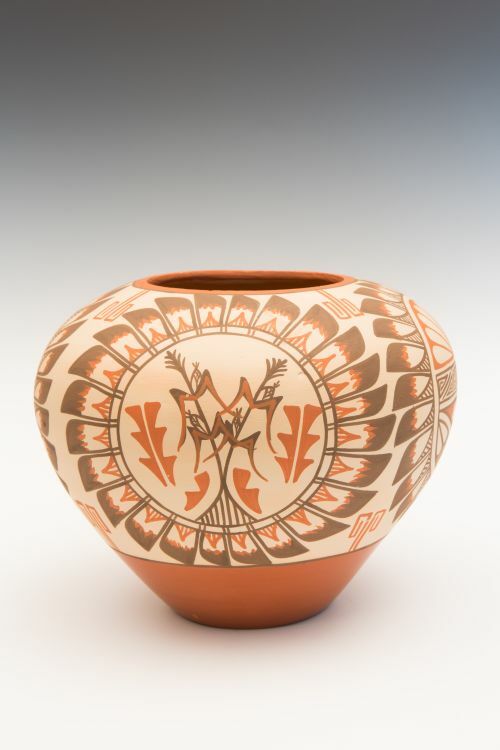 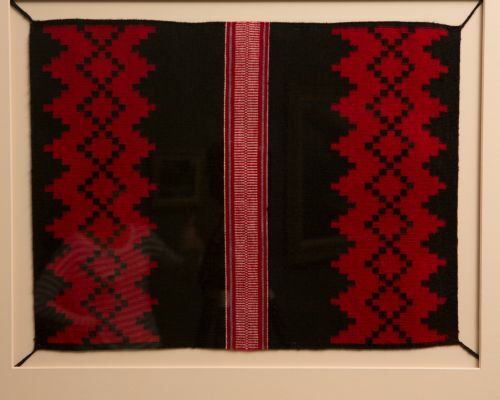 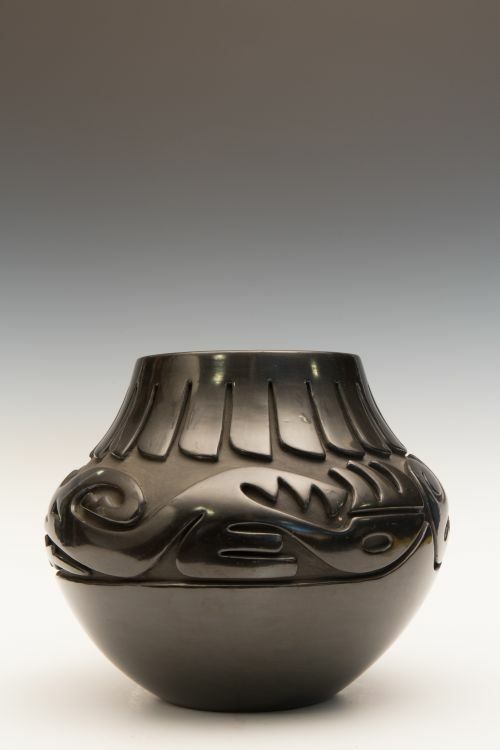 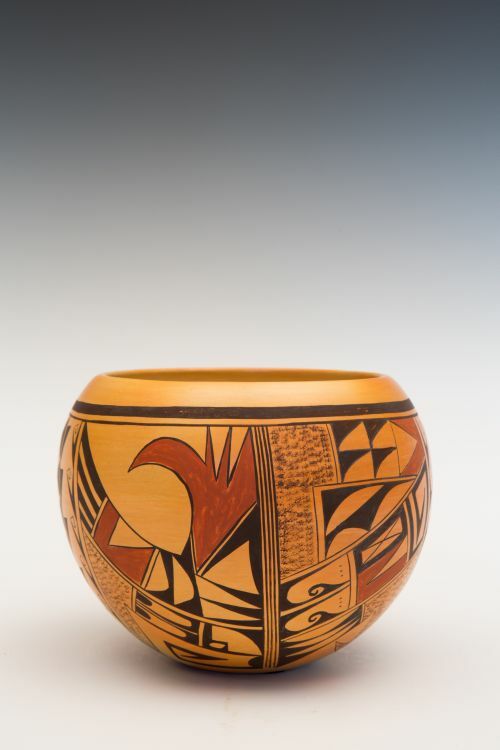 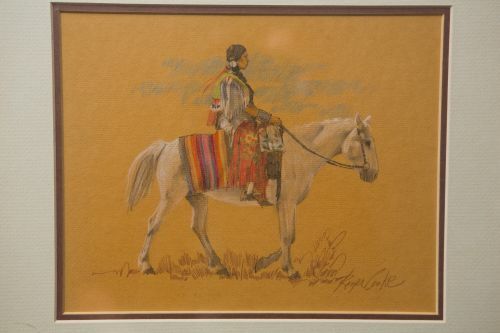 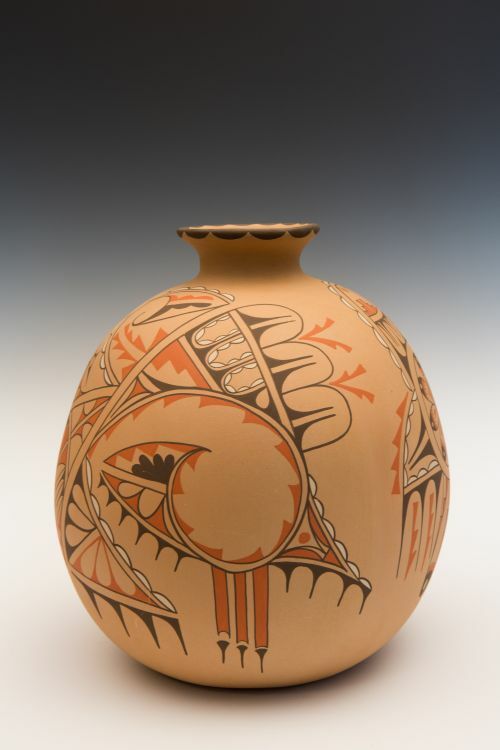 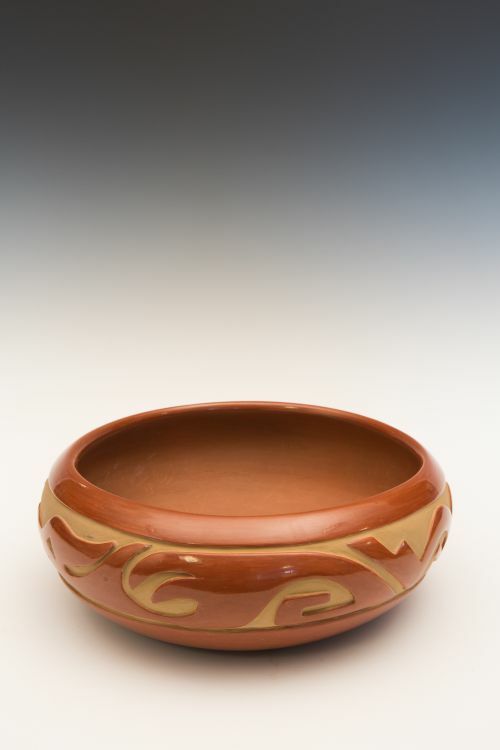 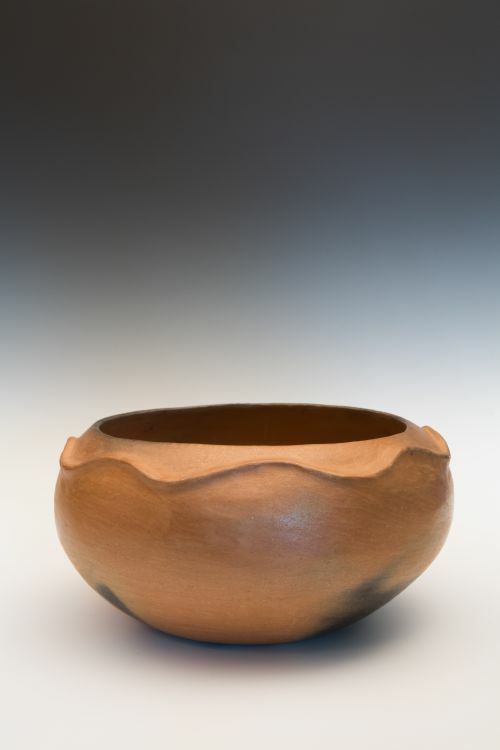 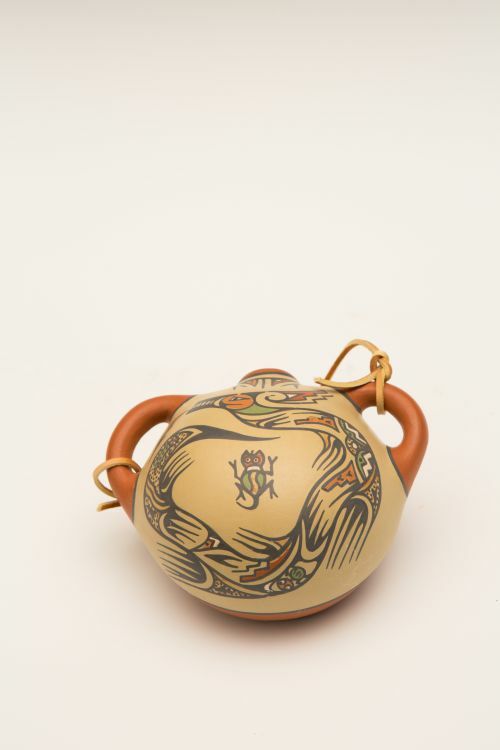 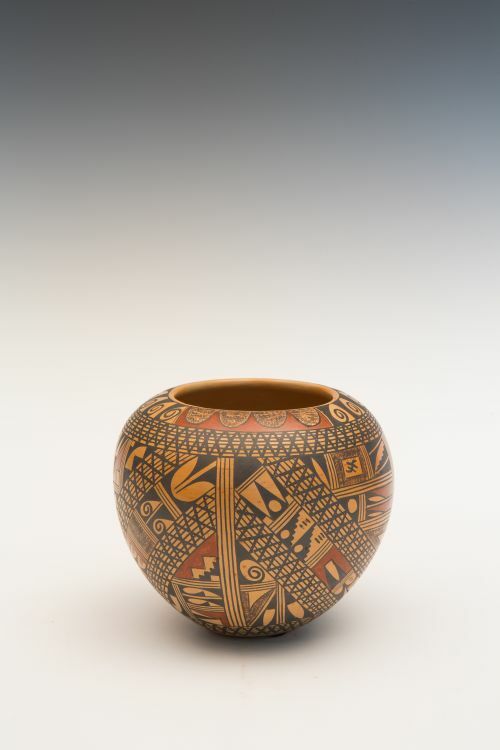 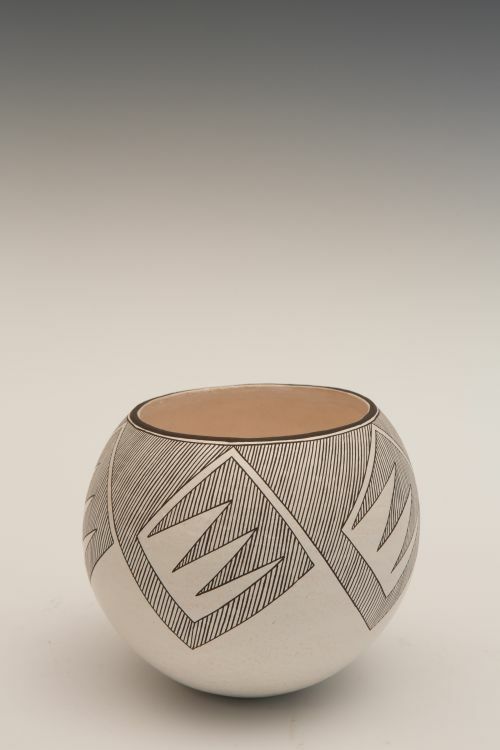 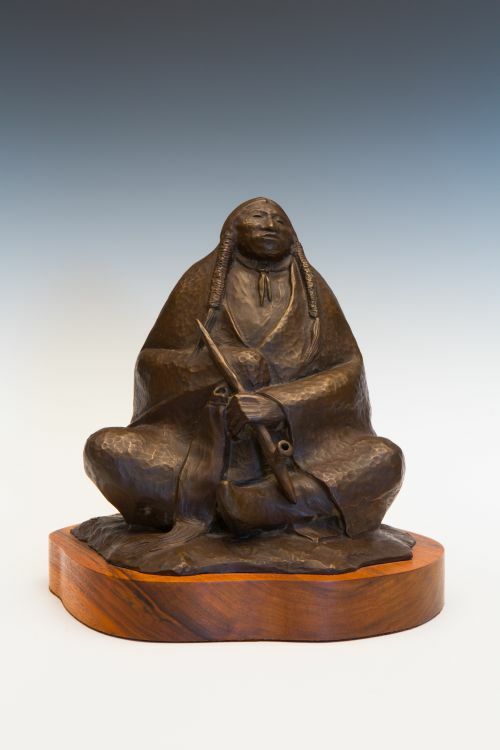 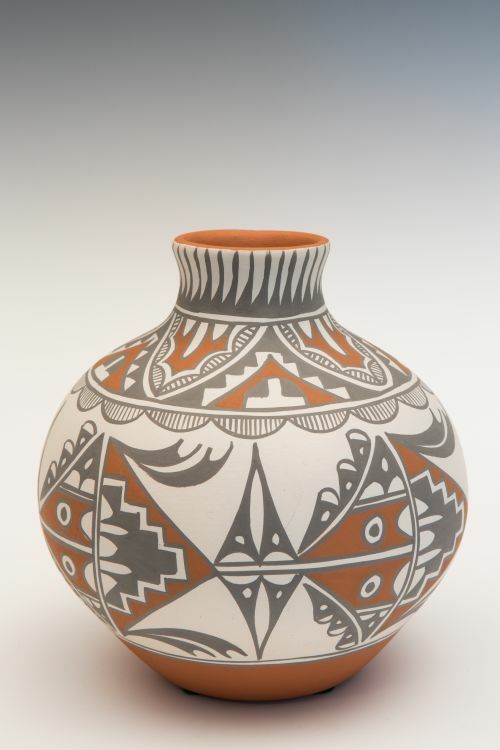 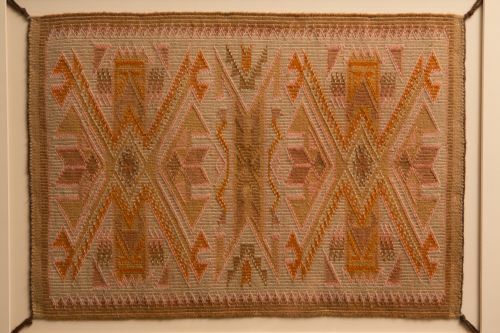 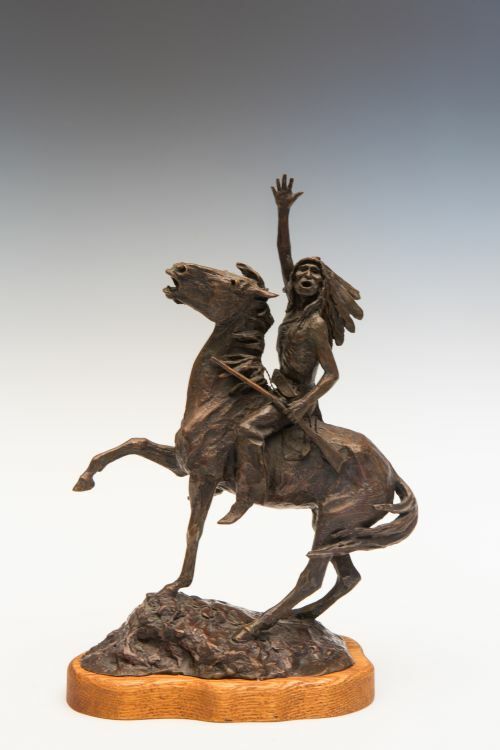 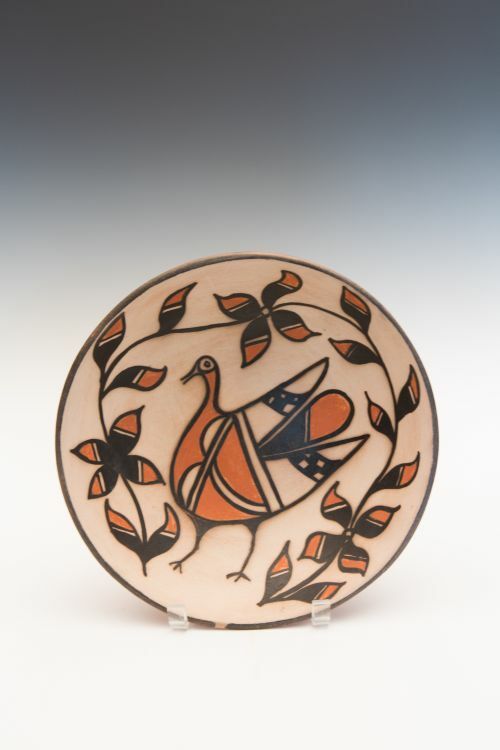 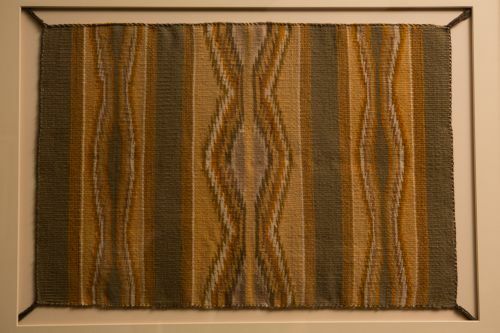 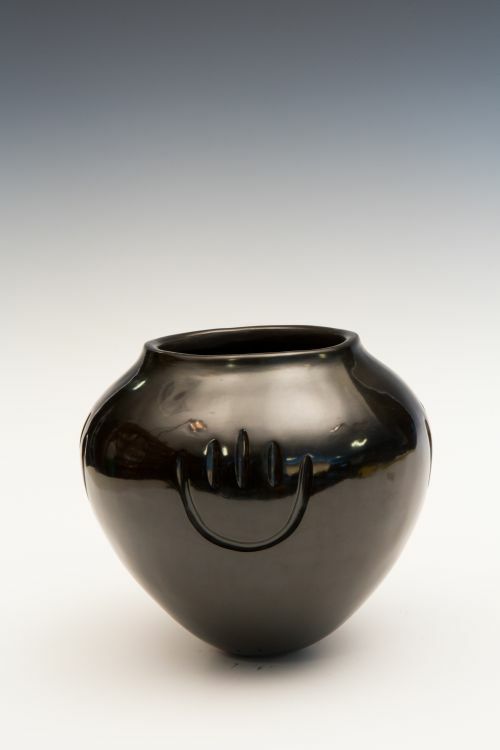 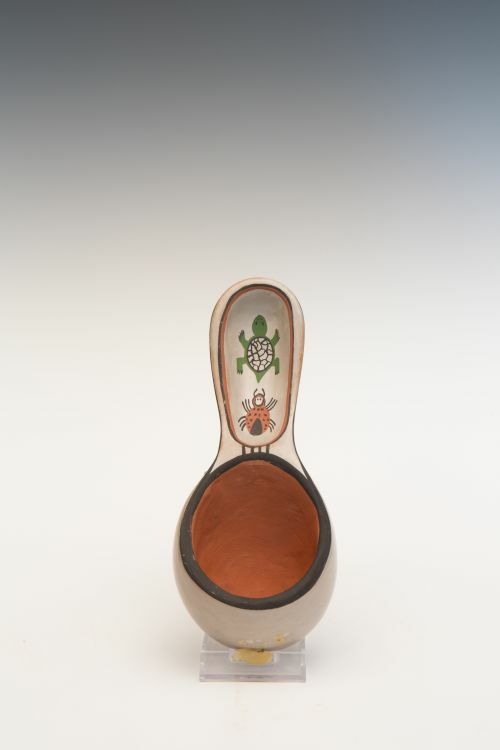 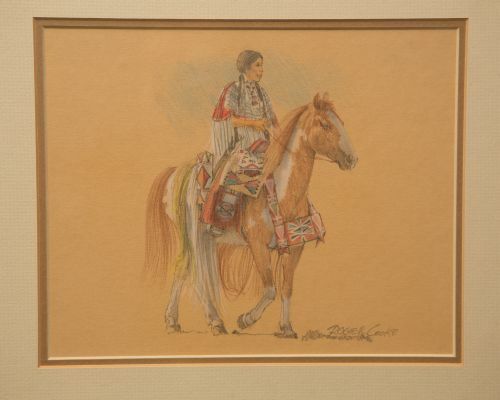 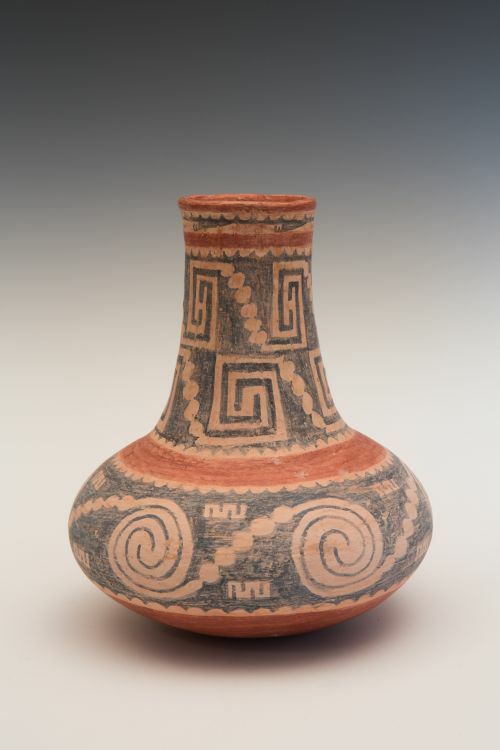 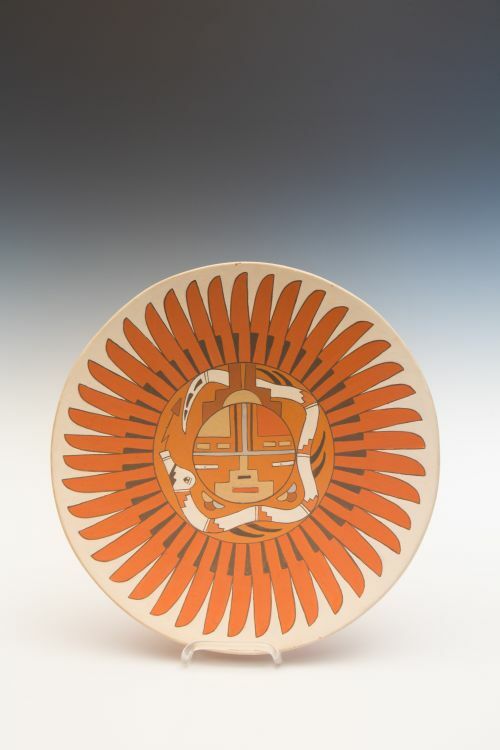 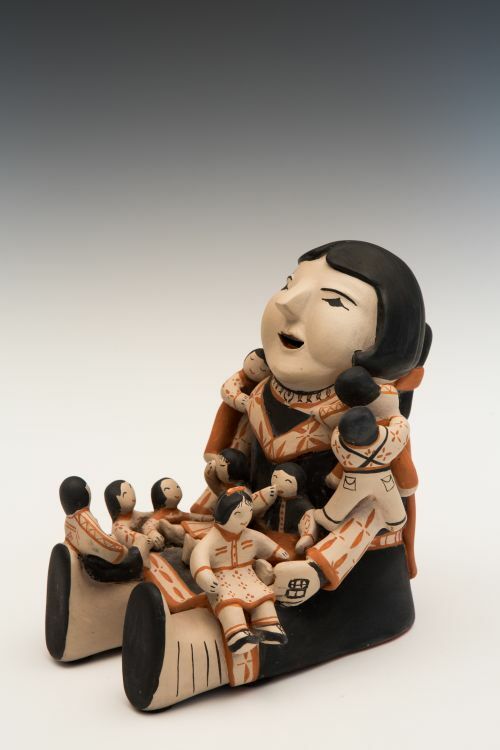 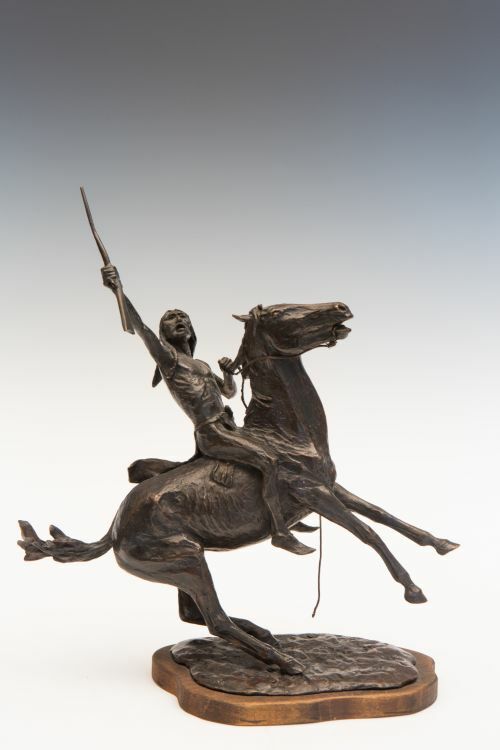 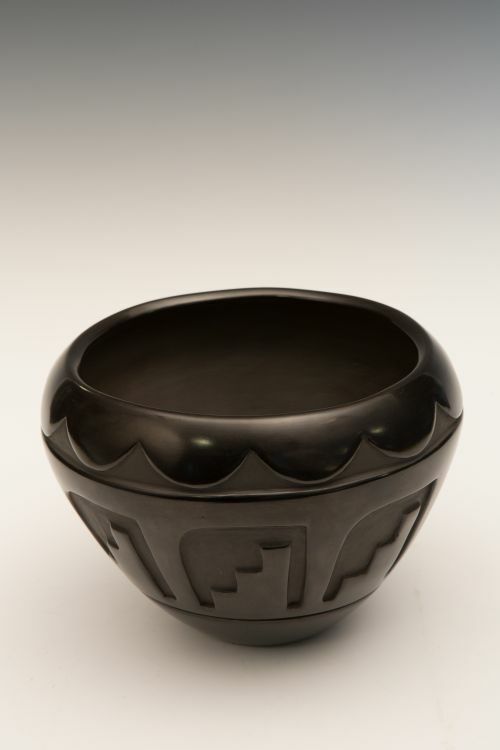 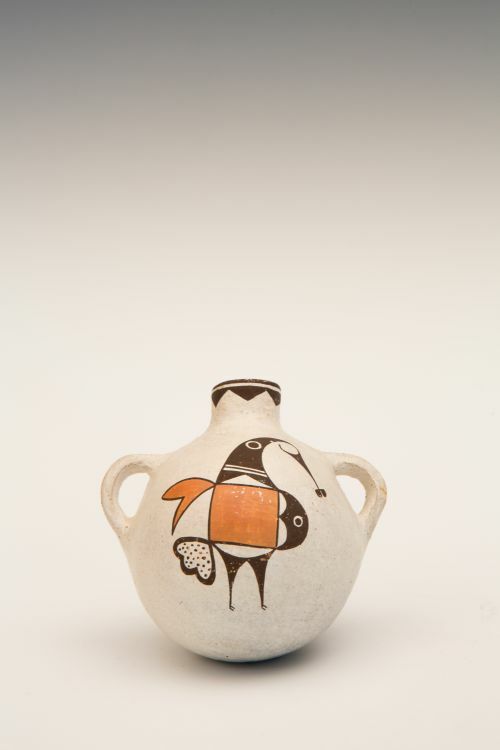 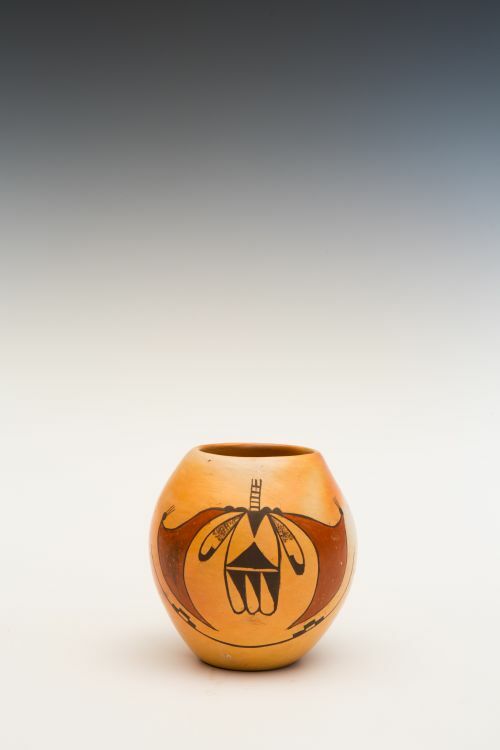 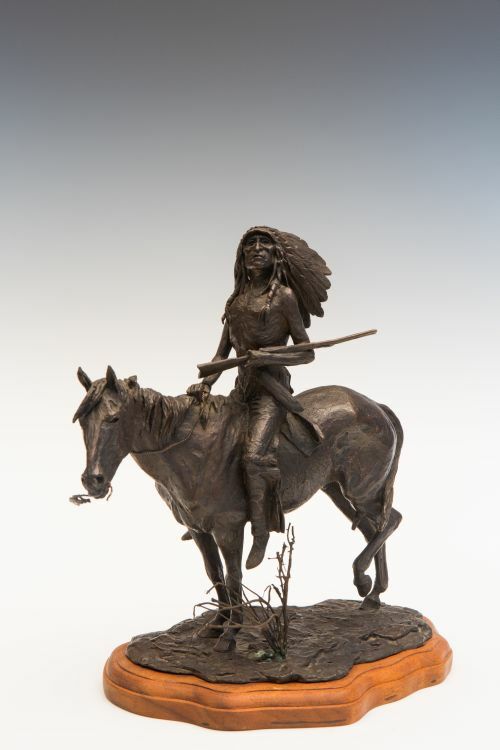 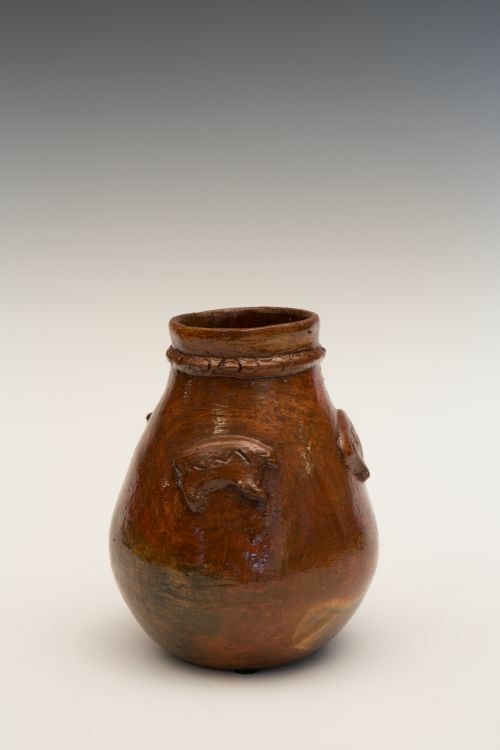 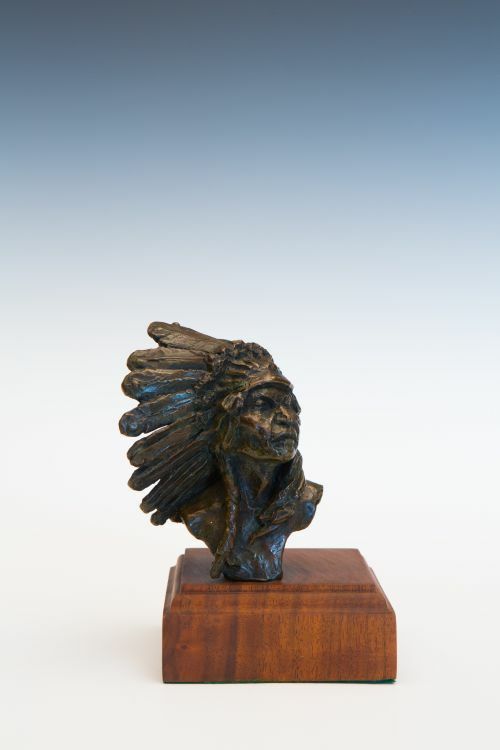 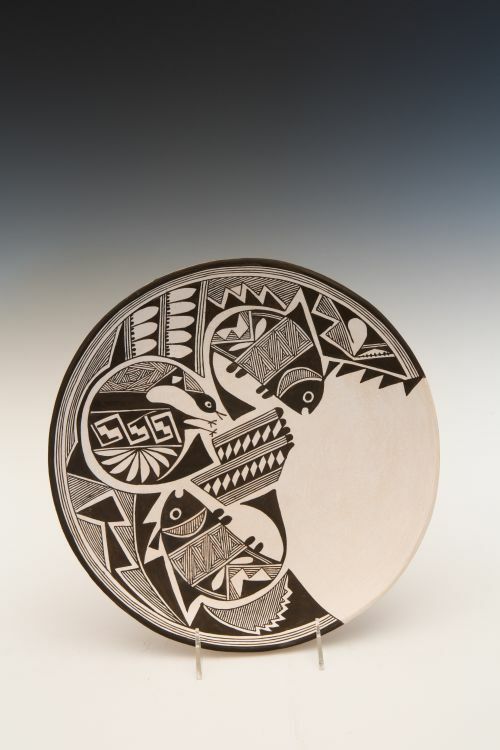 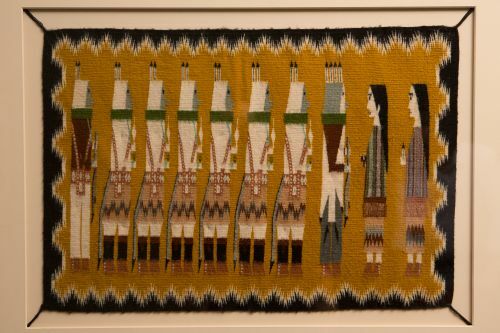 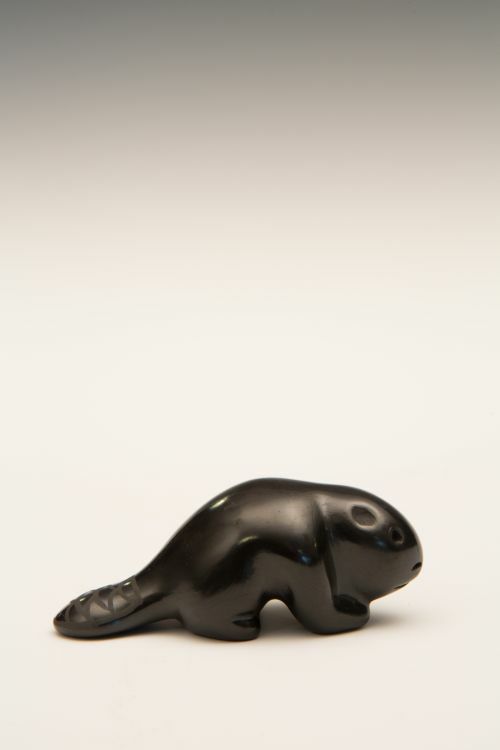 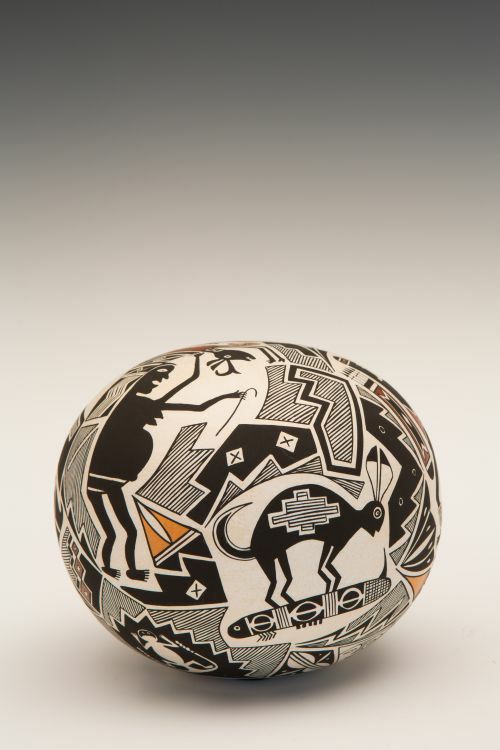 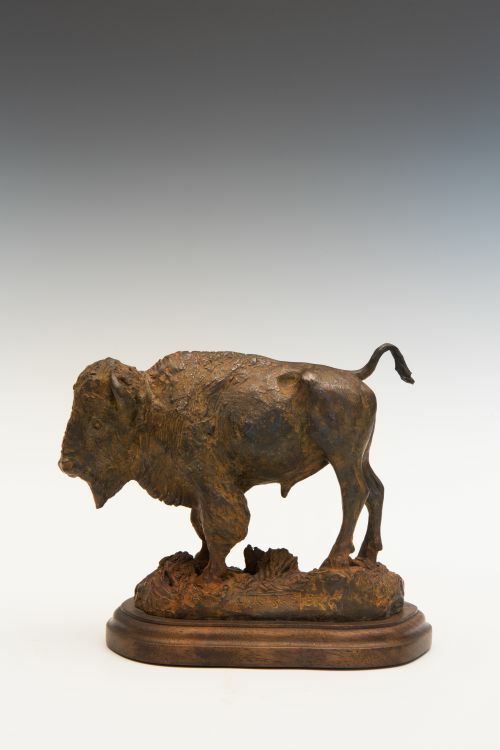 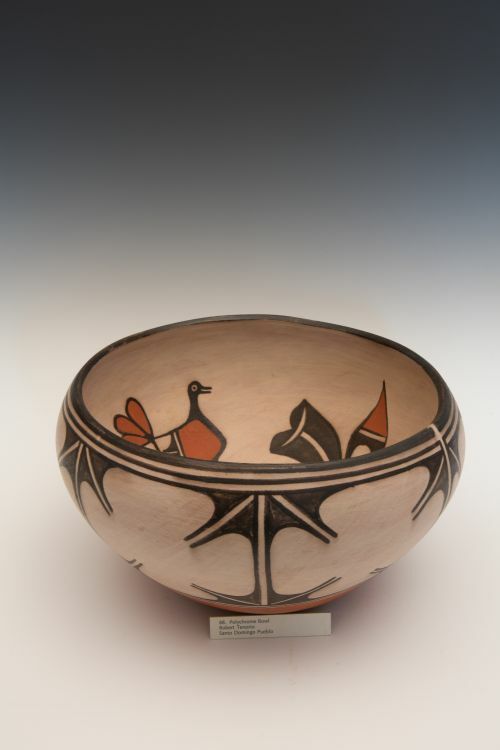 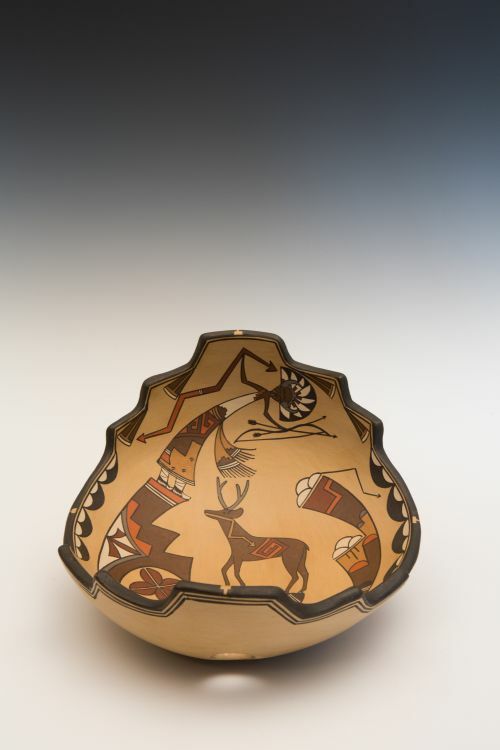 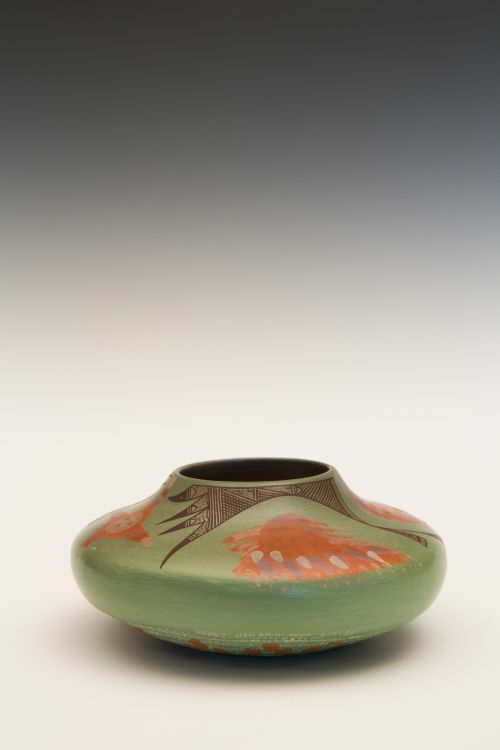 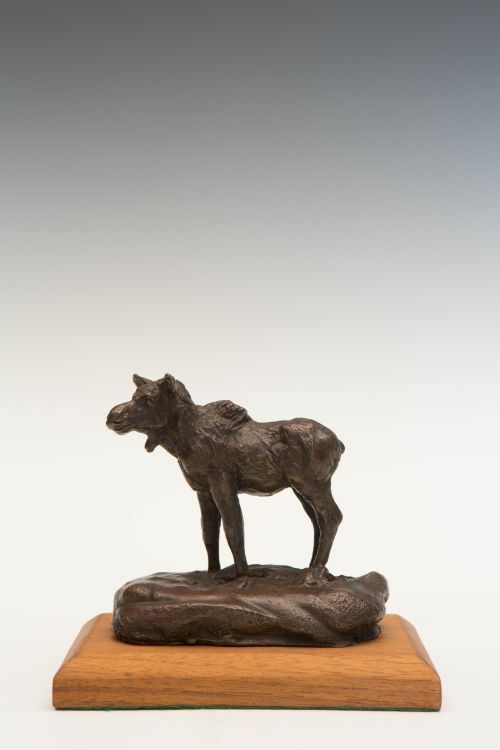 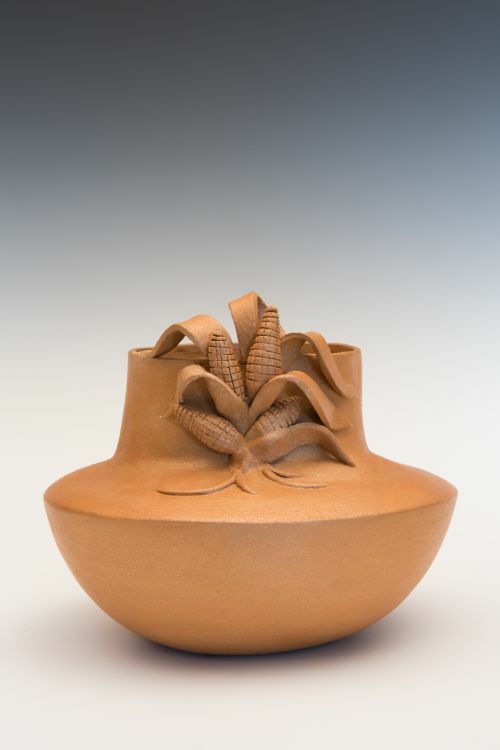 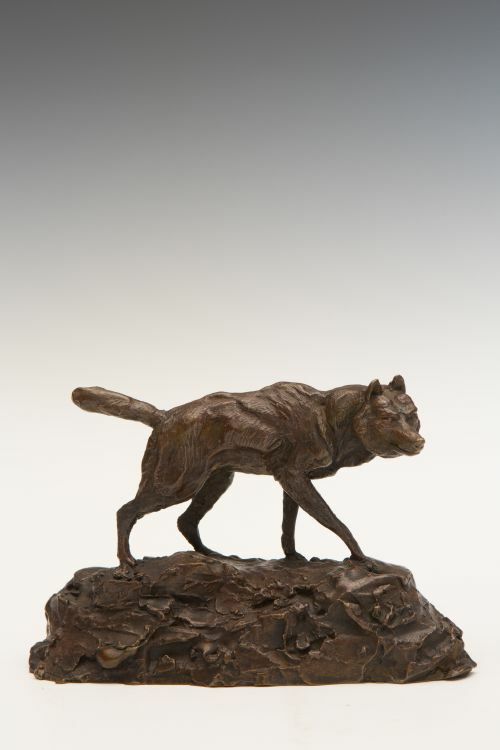 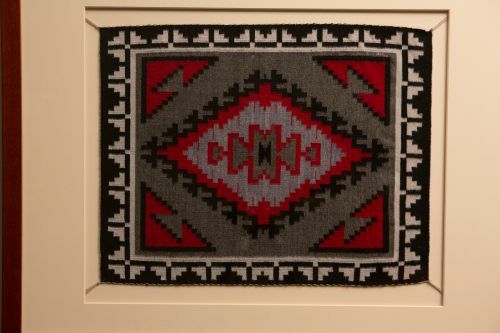 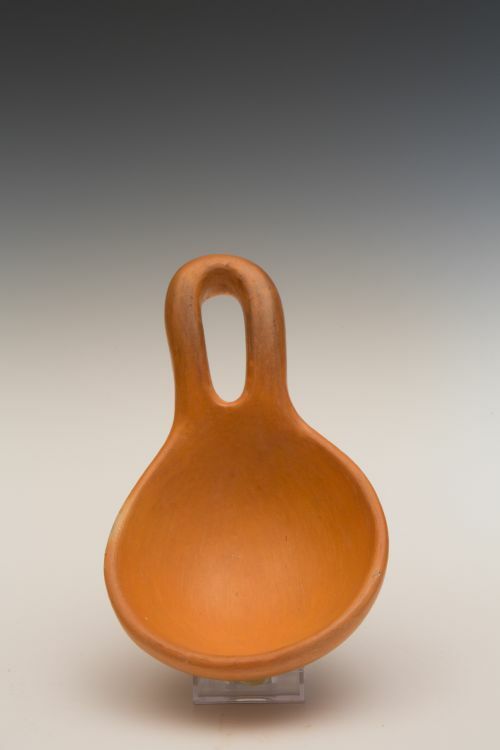 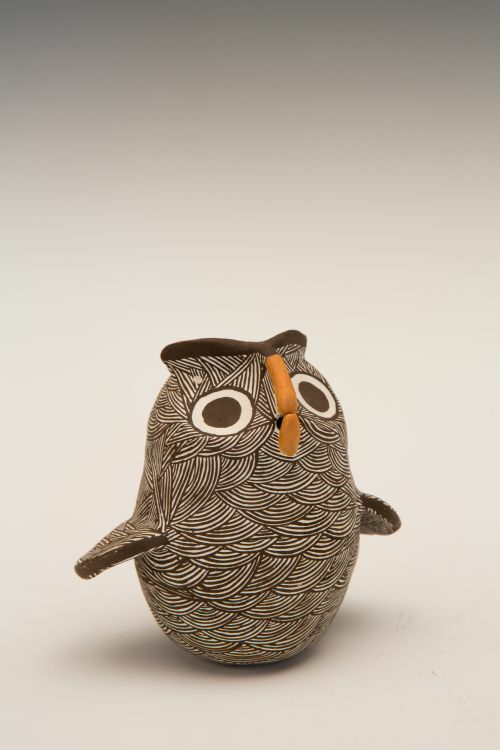 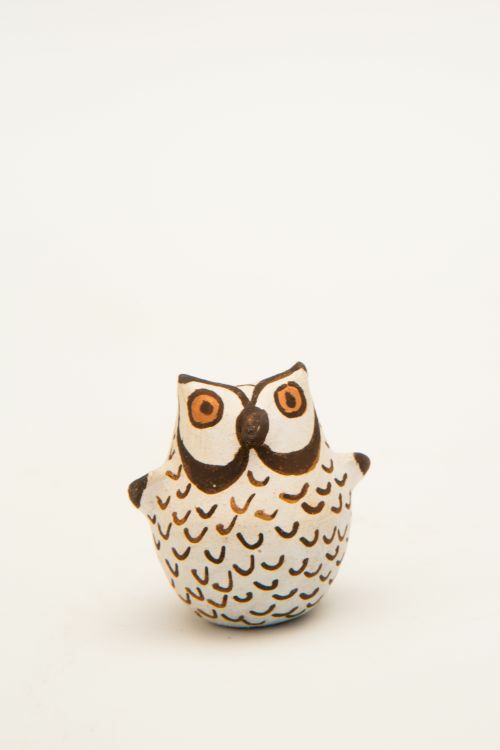 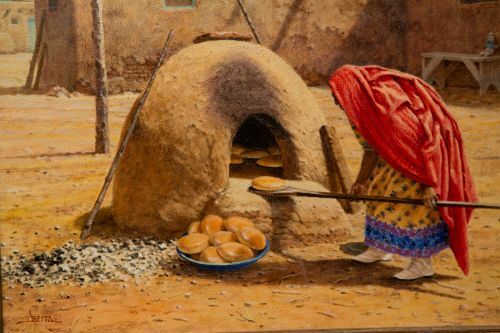 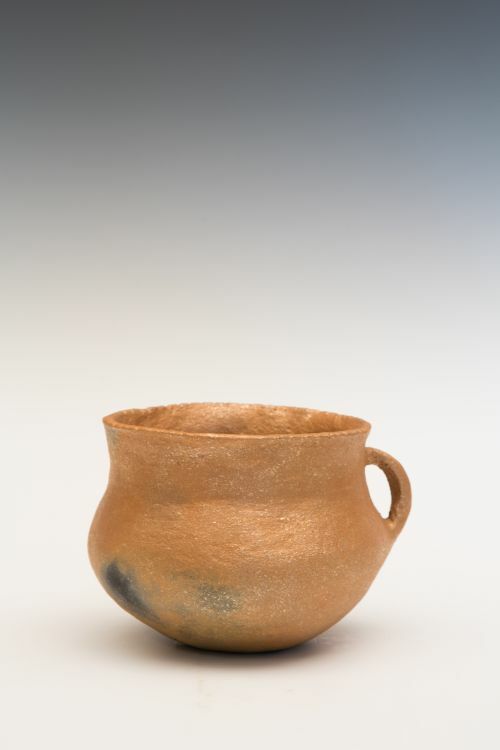 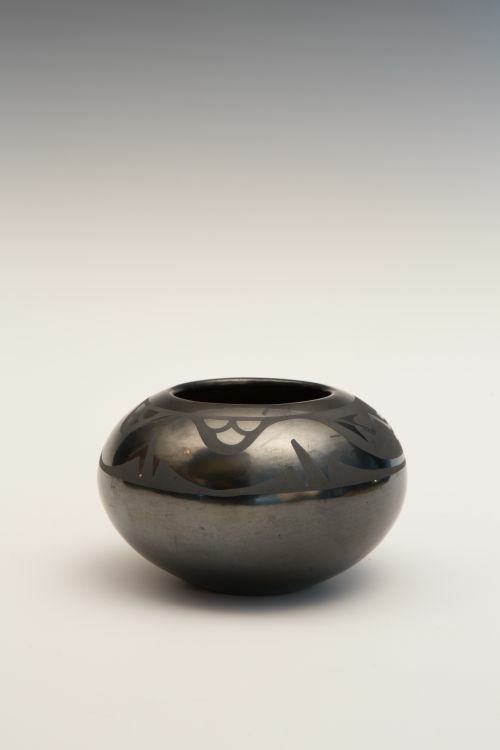 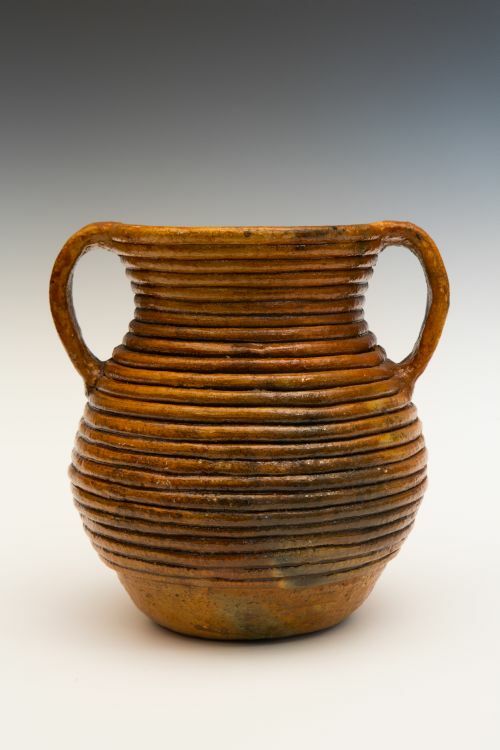 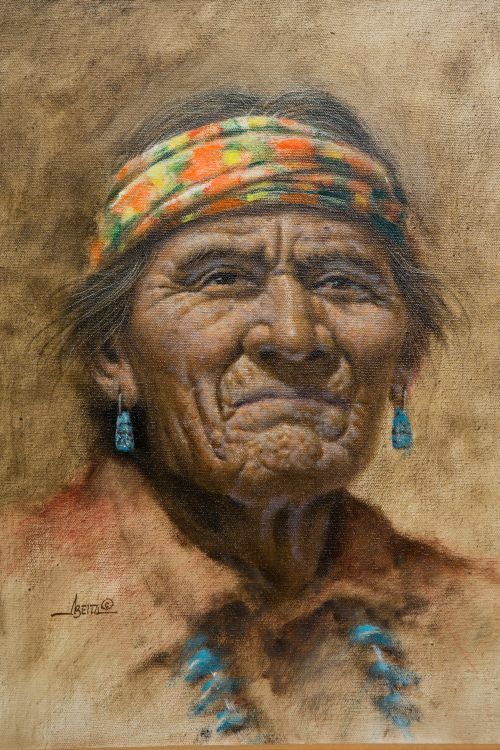 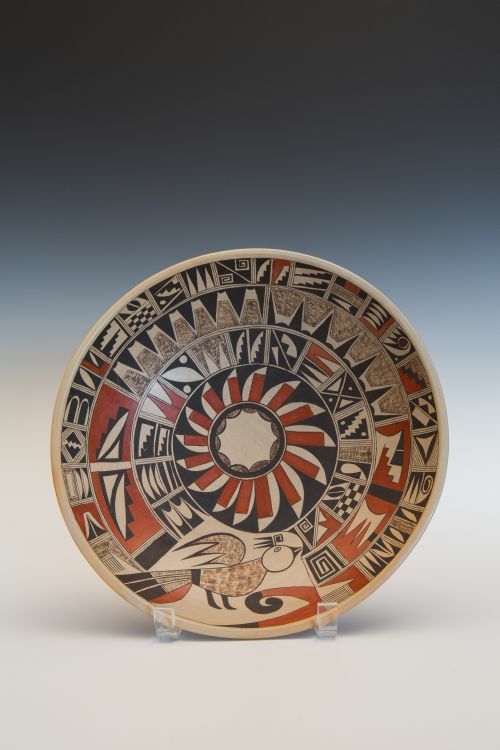 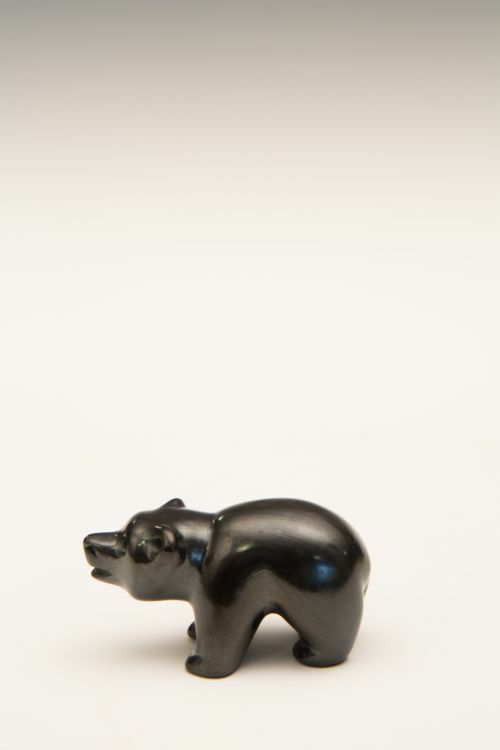 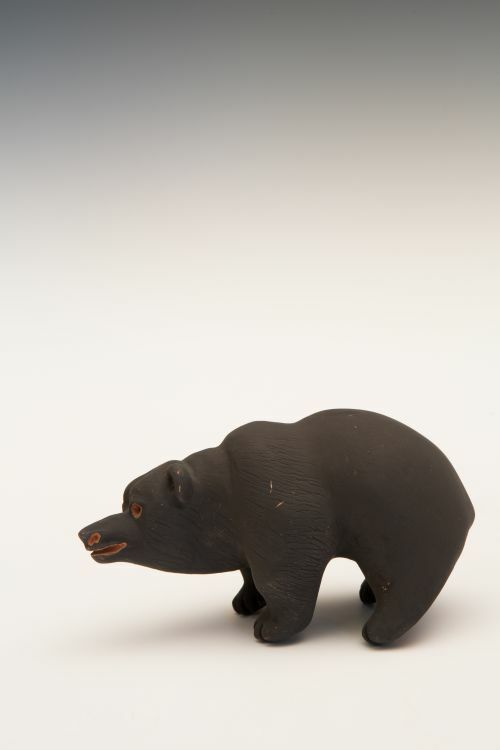 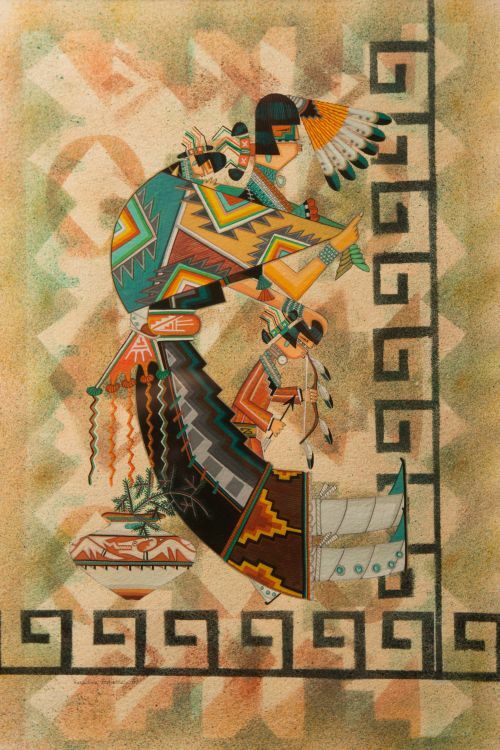 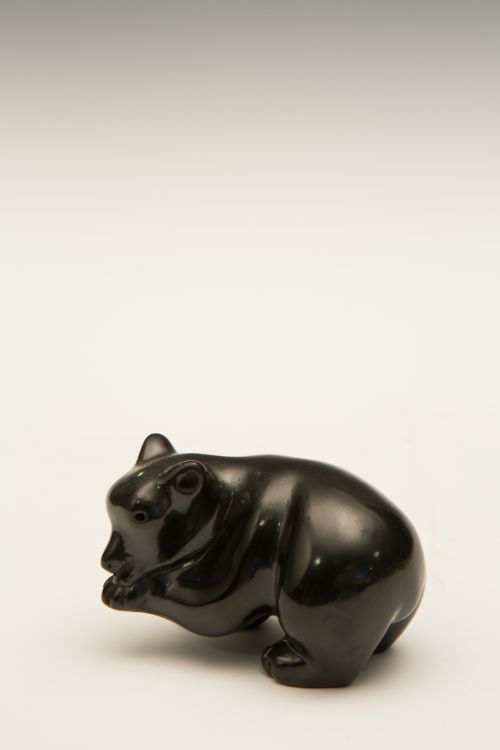 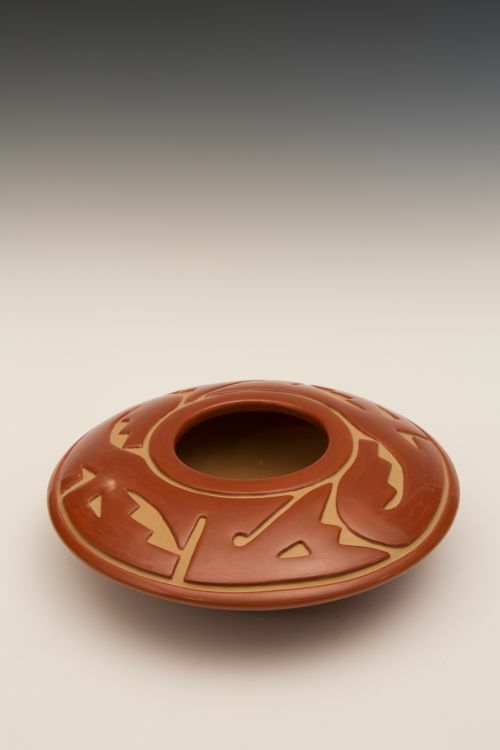 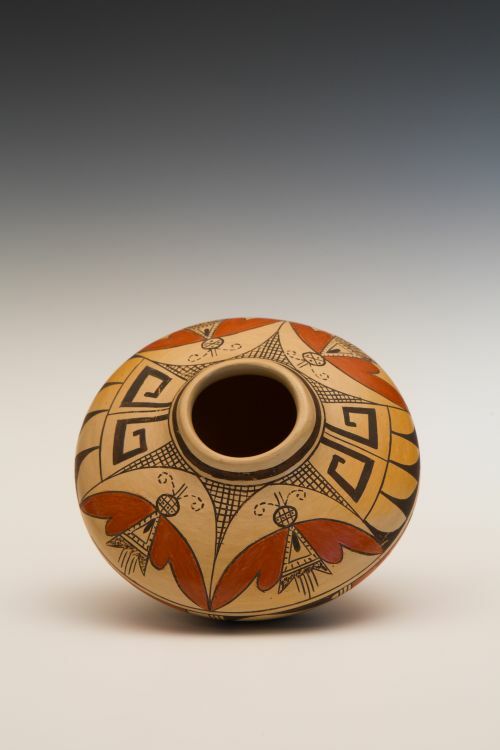 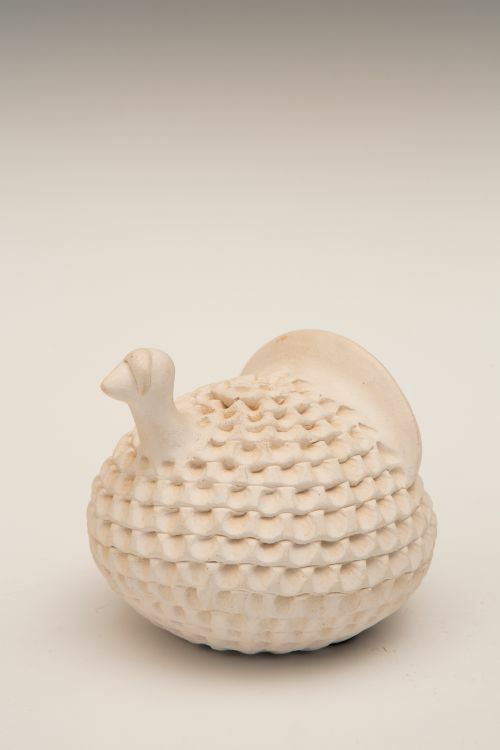 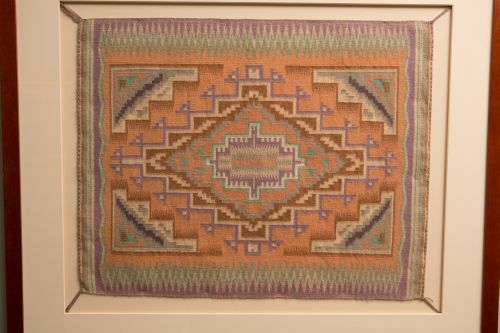 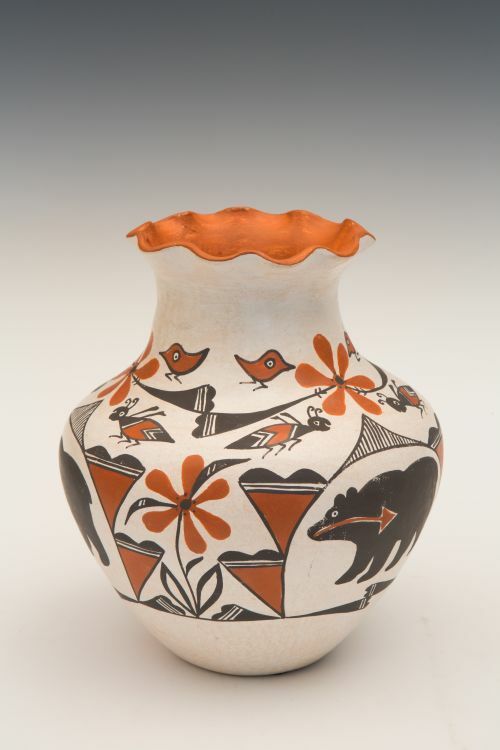 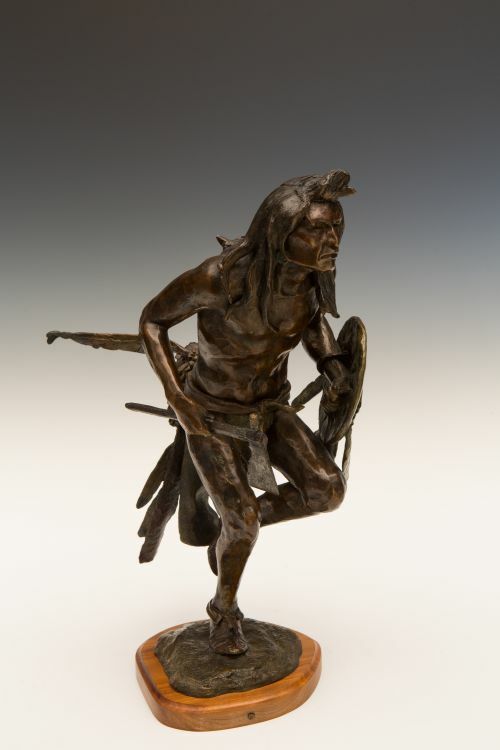 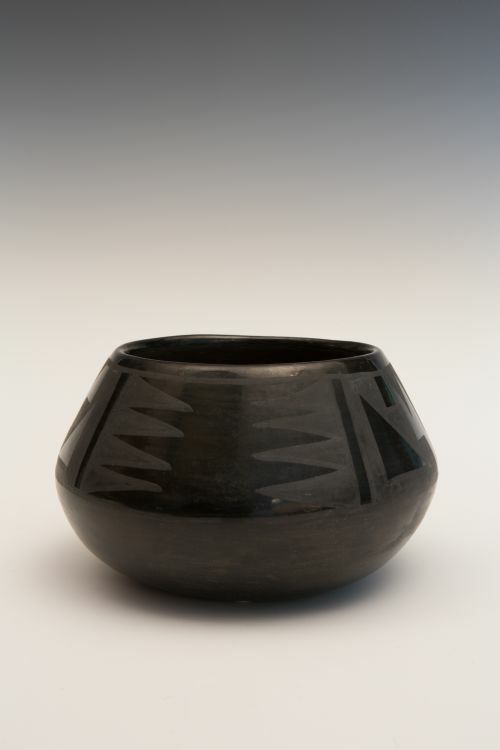 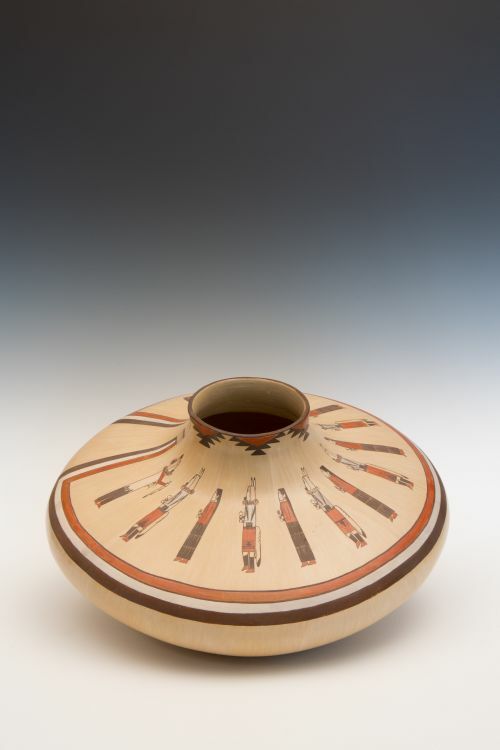 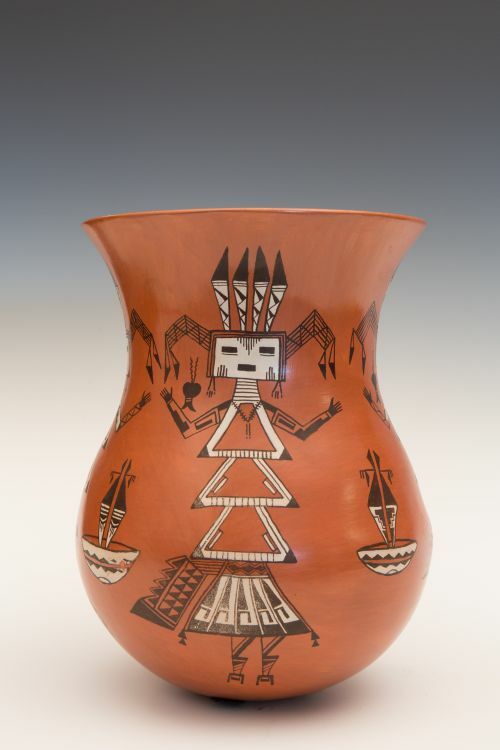 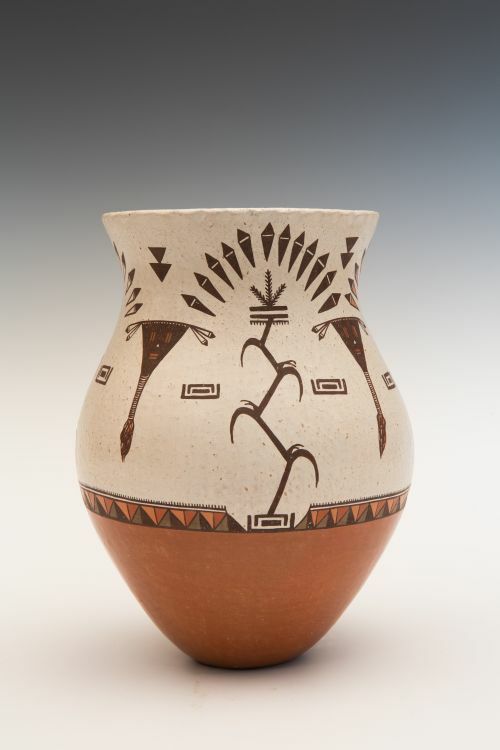 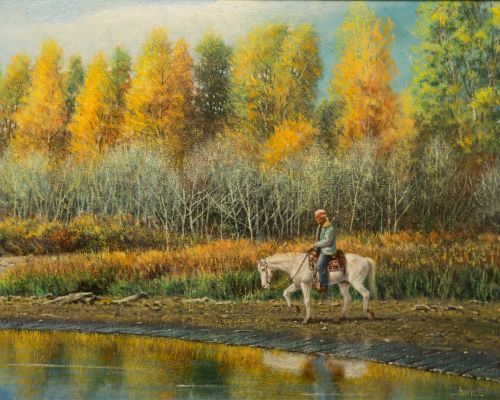 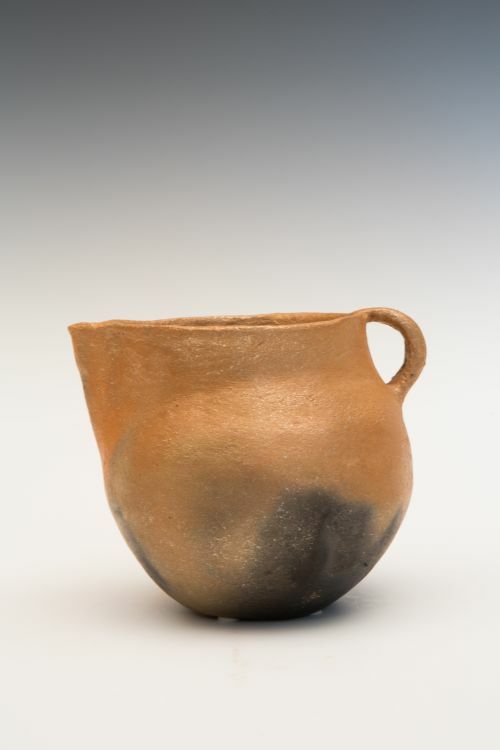 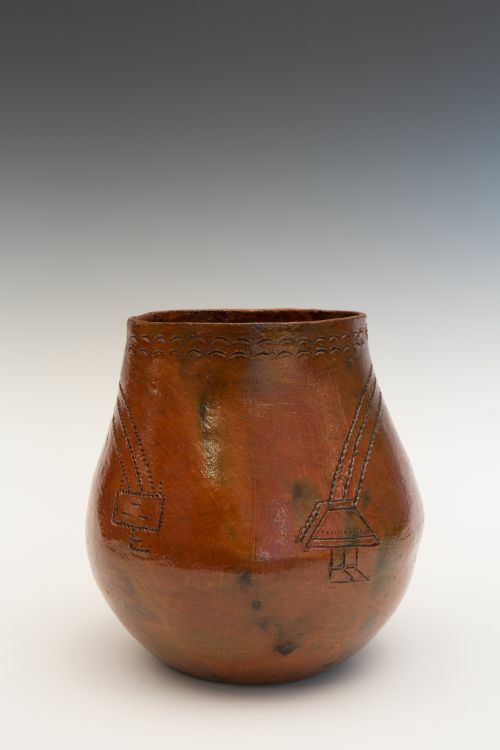 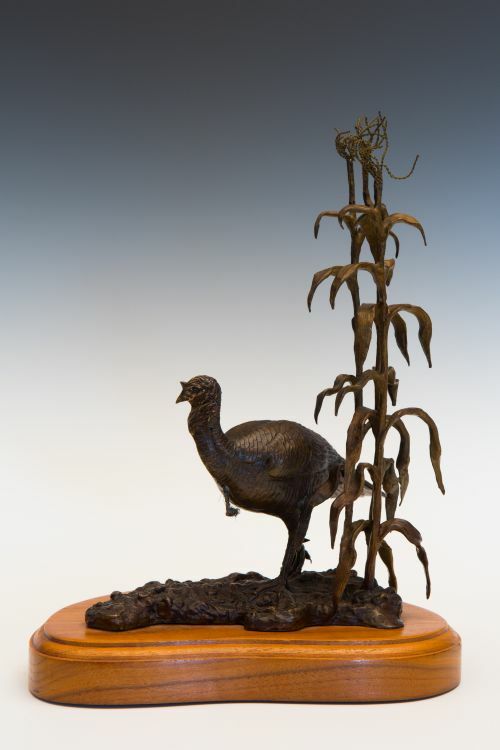 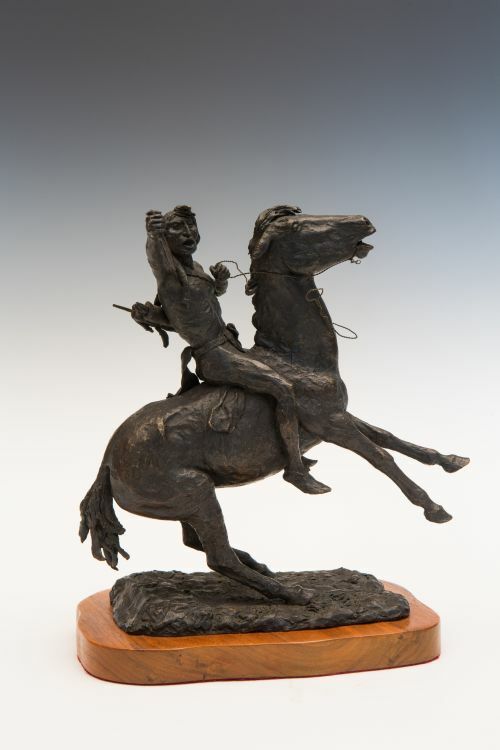 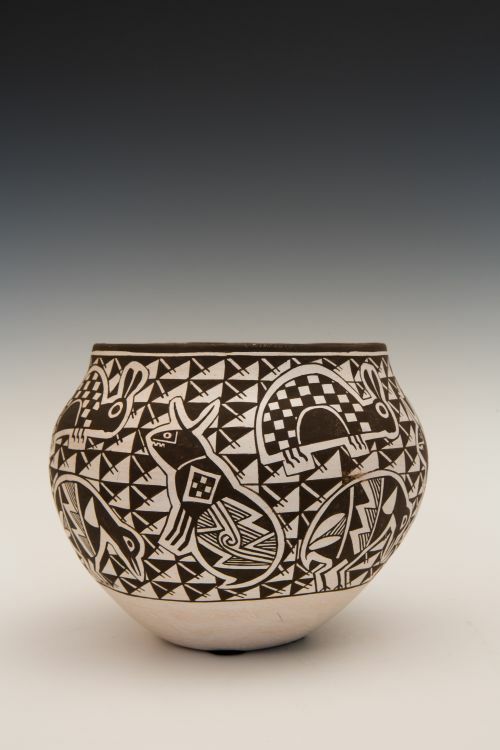 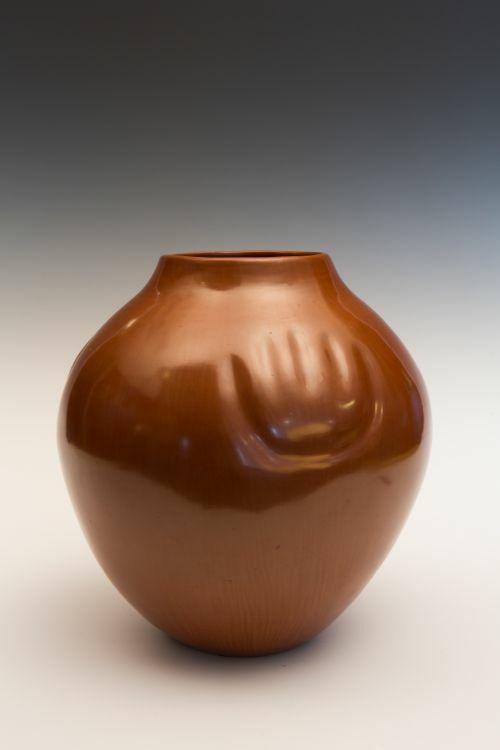 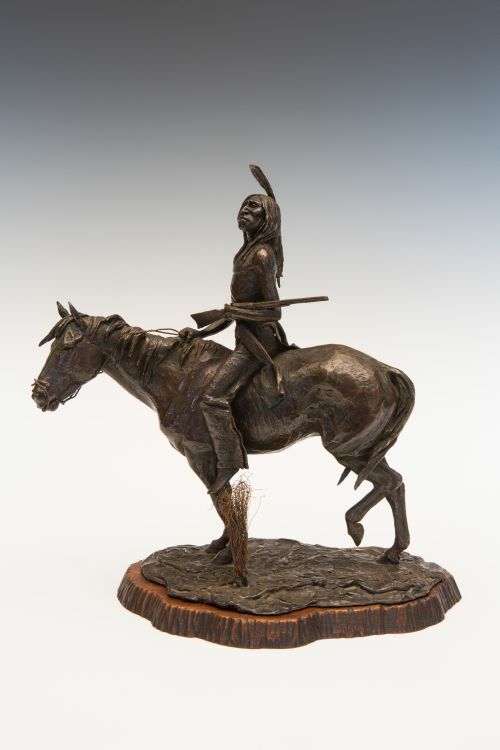 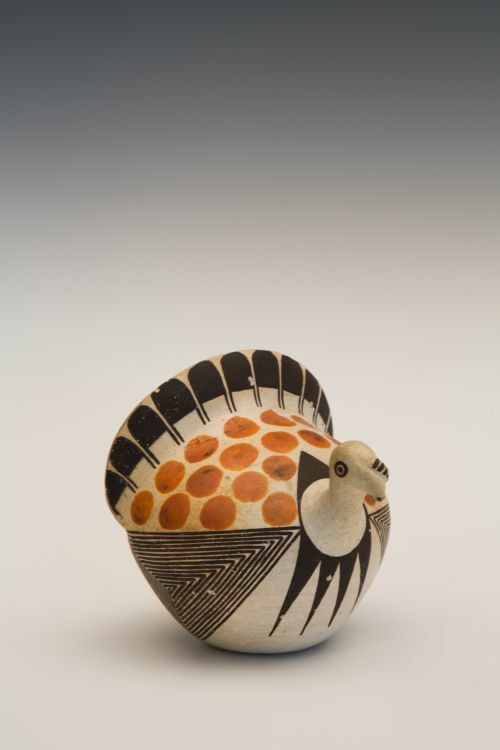 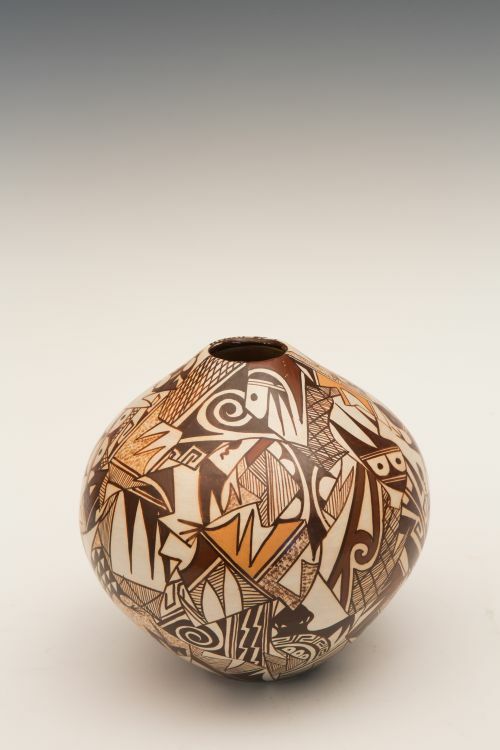 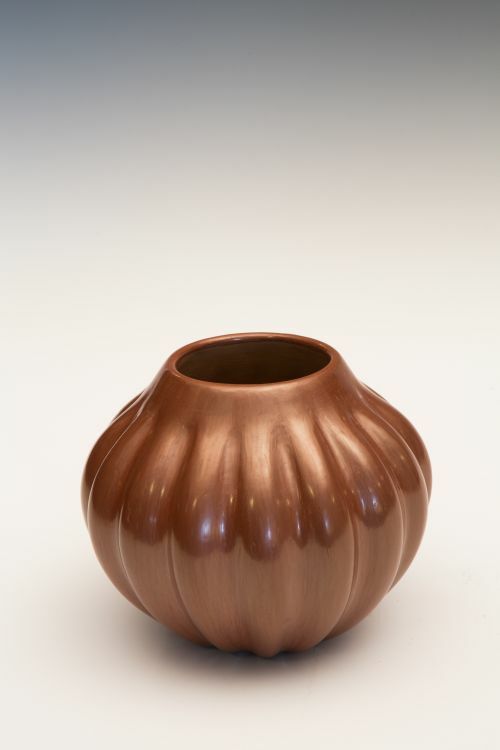 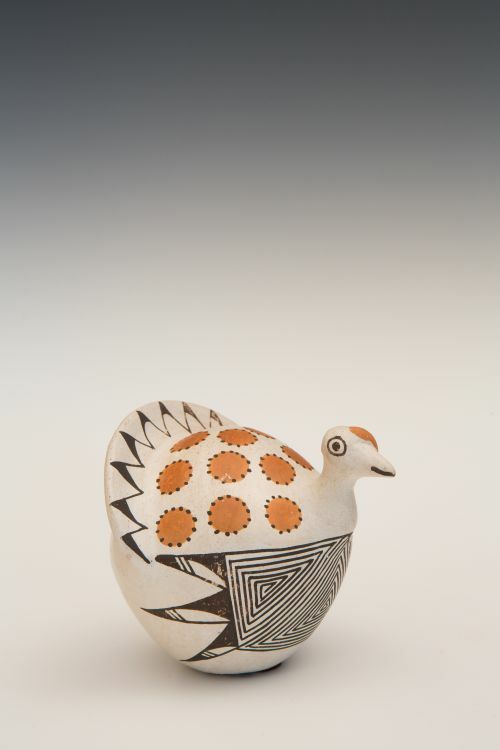 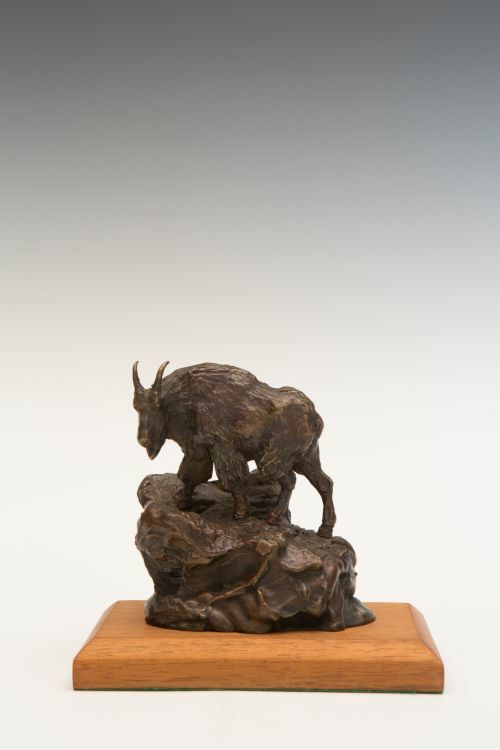 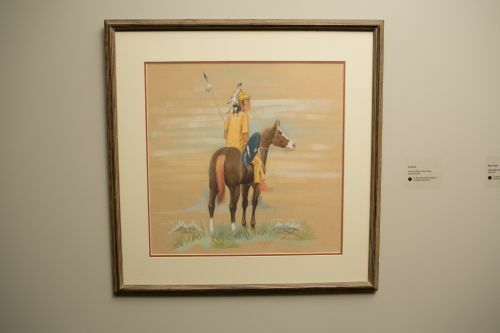 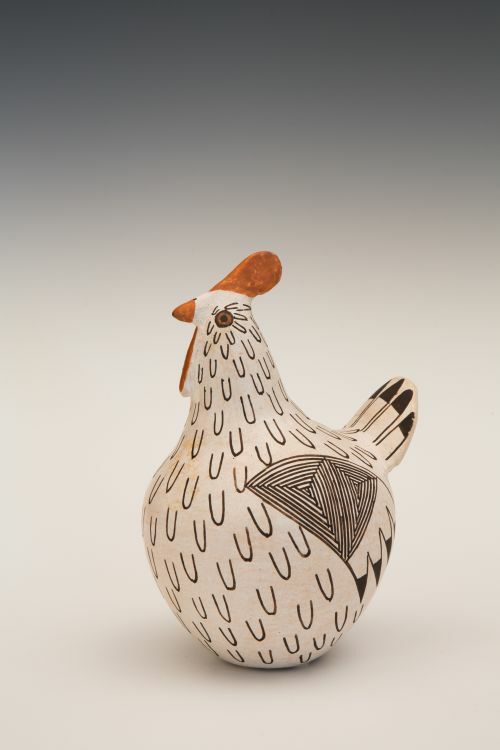 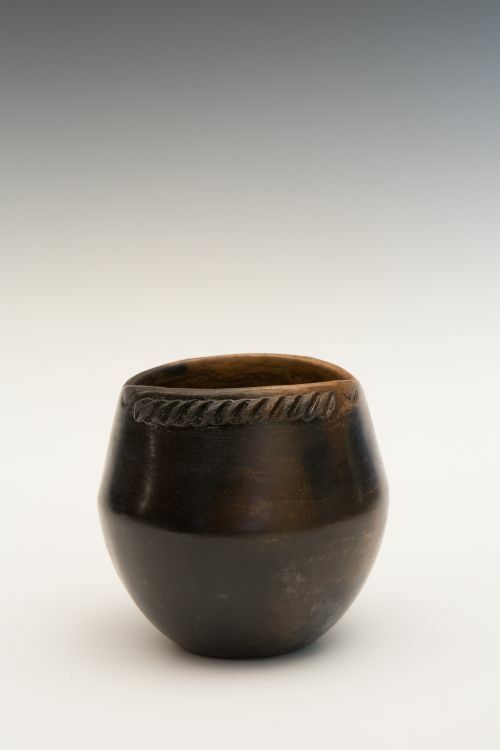 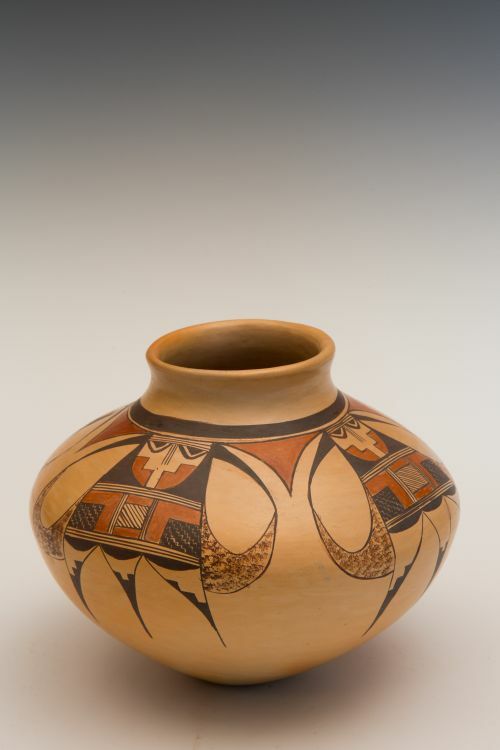 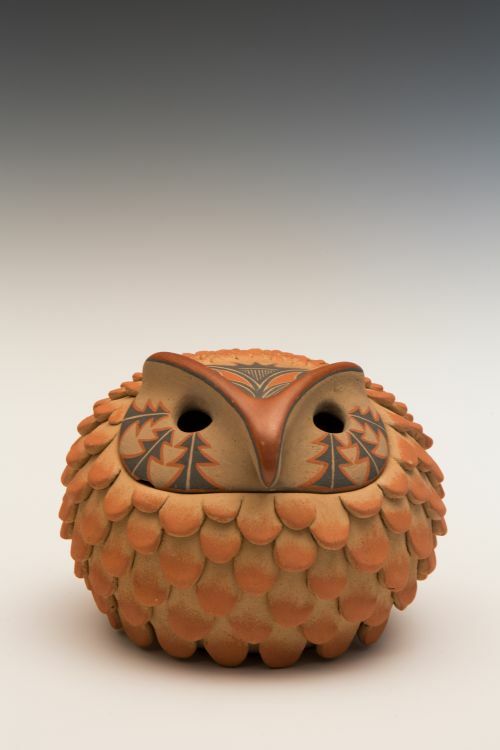 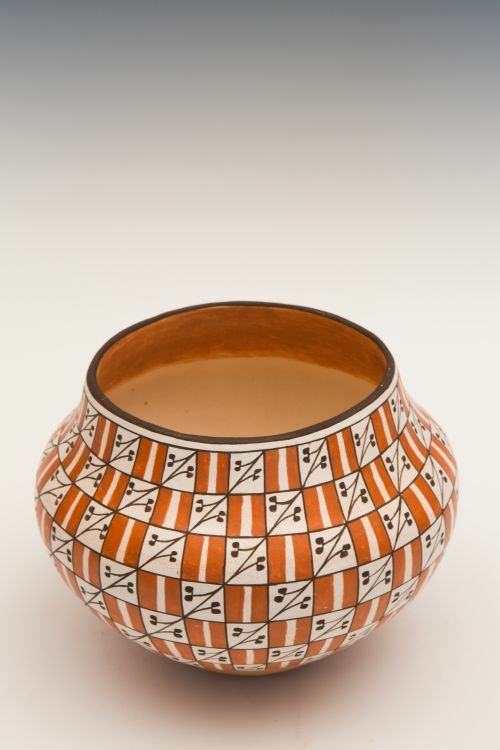 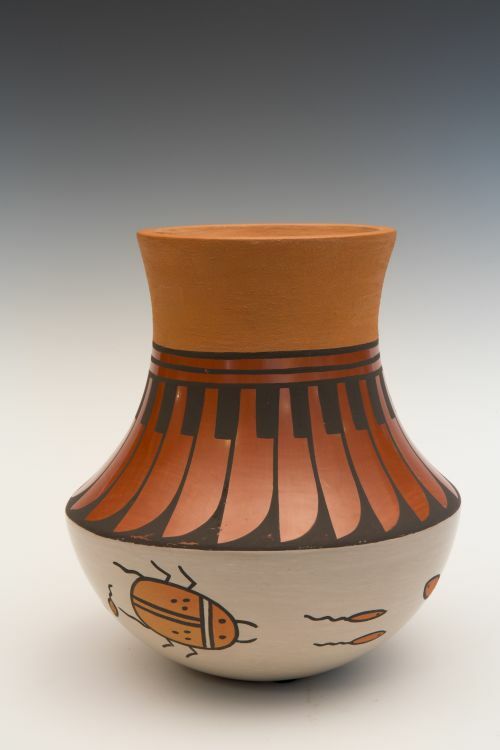 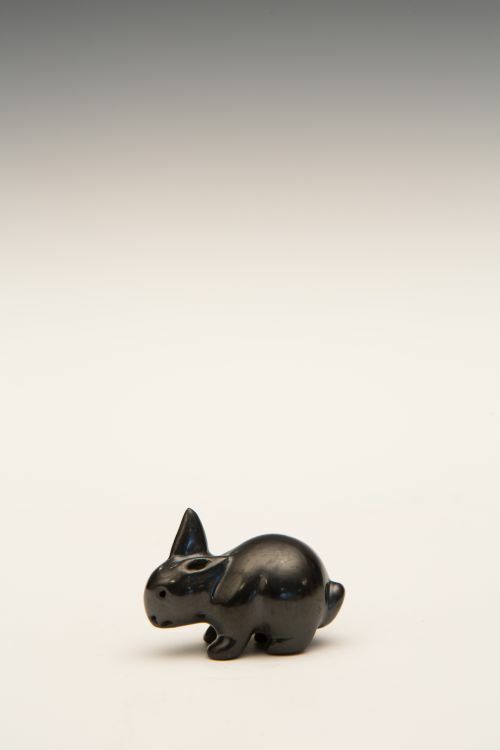 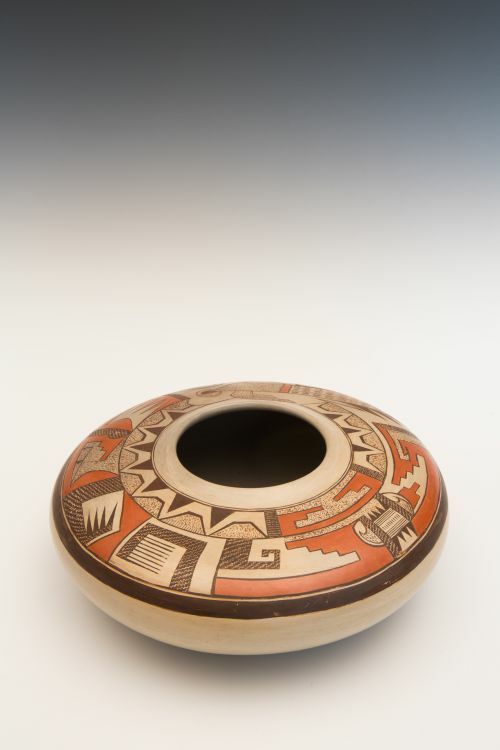 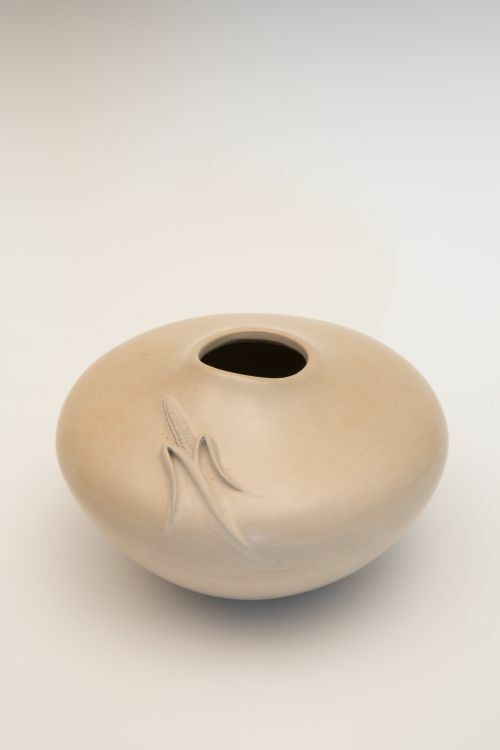 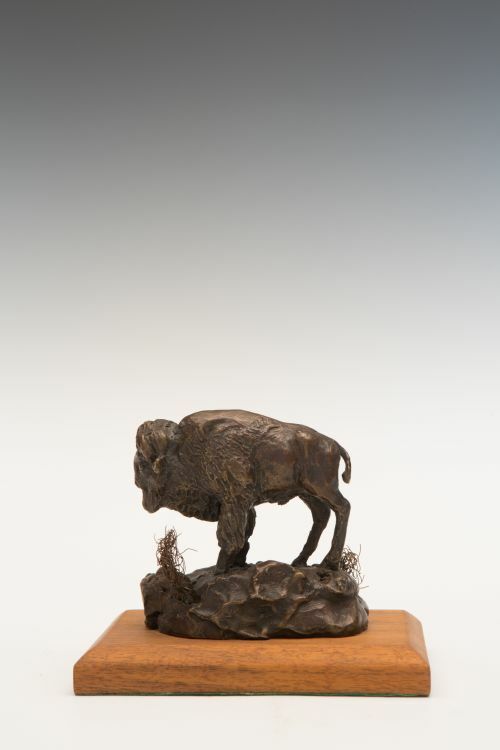 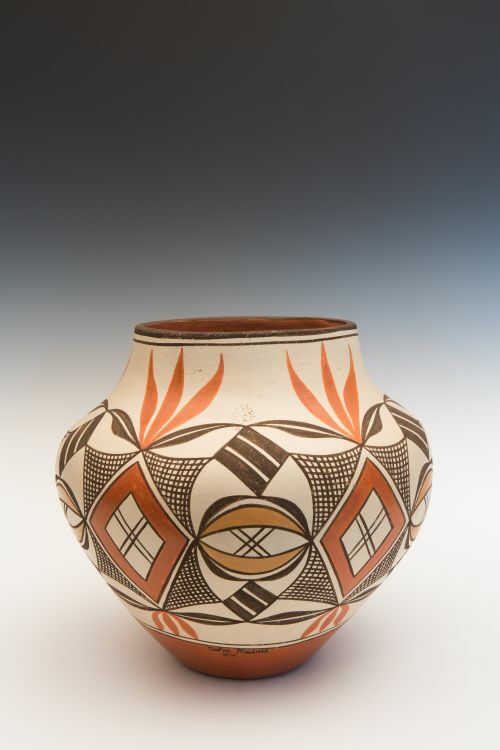 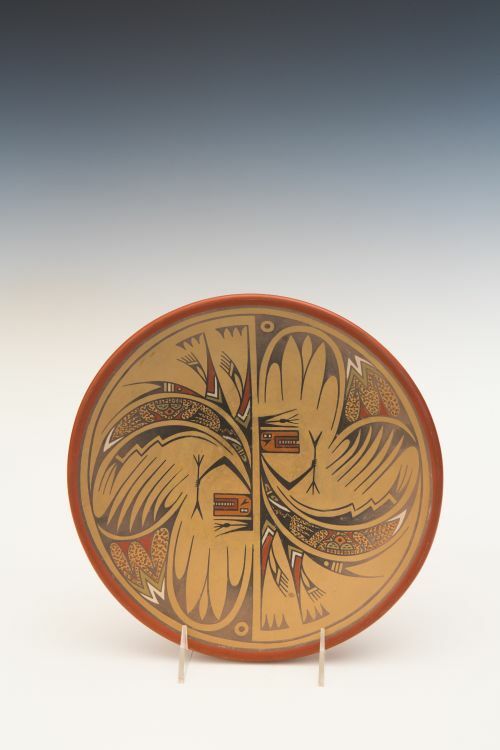 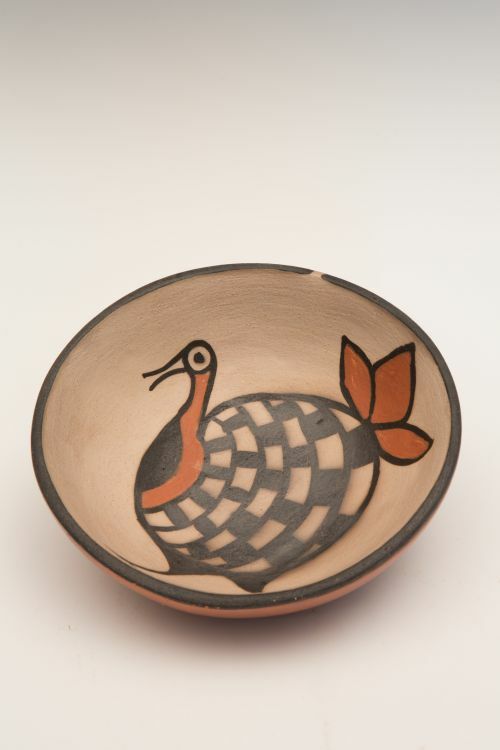 This is an ancient Southwest potting style, having been practiced by Puebloan ancestors (whom she emulates on this piece) for nearly two millennia. 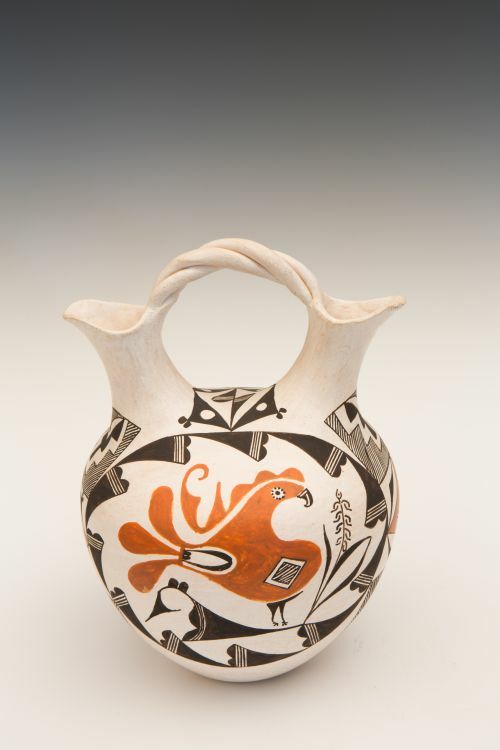 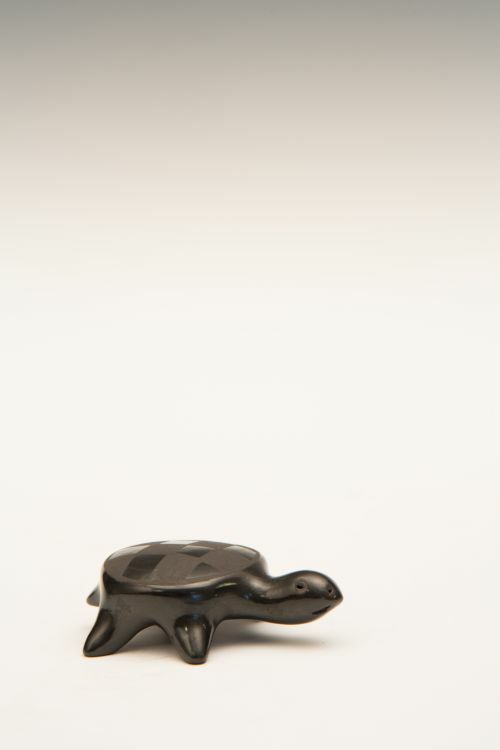 She has also incorporated a non-Native two-handled jug shape. 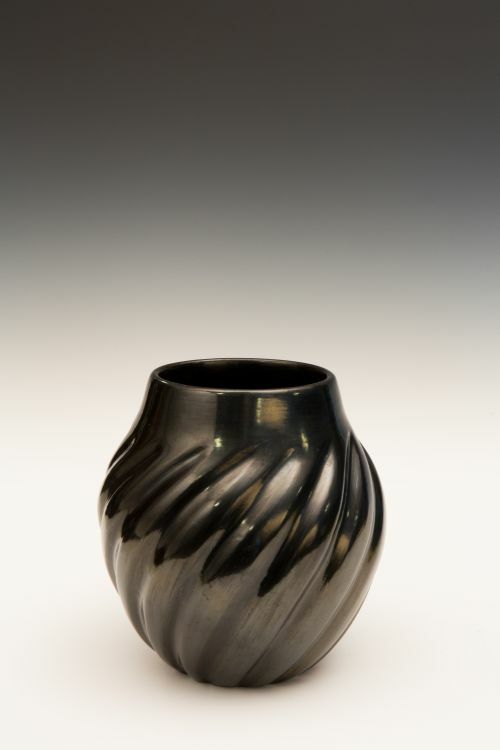 But in Goodman’s capable hands the borrowed shape and exposed coils are uniquely hers.